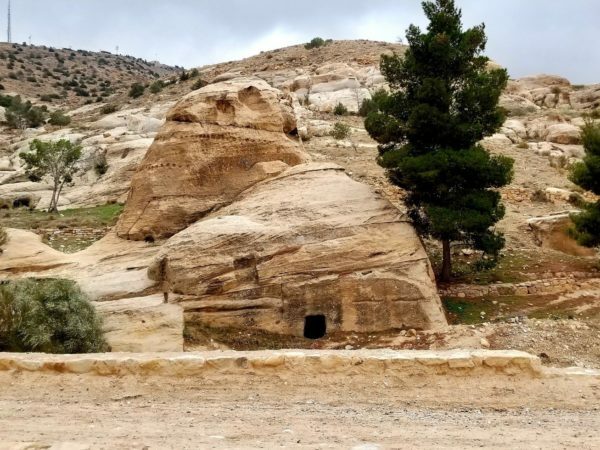 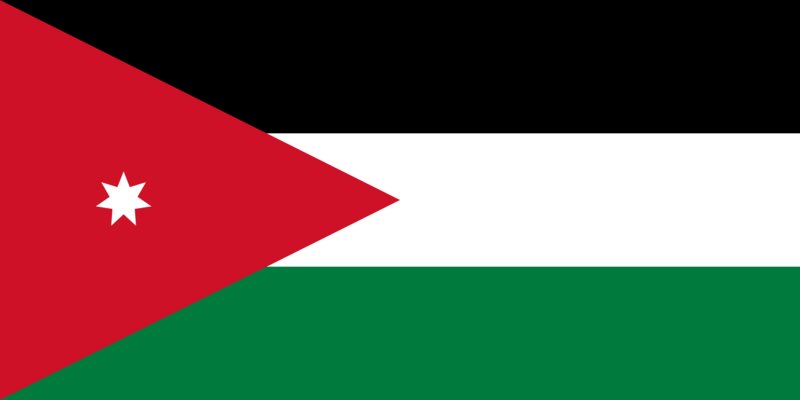 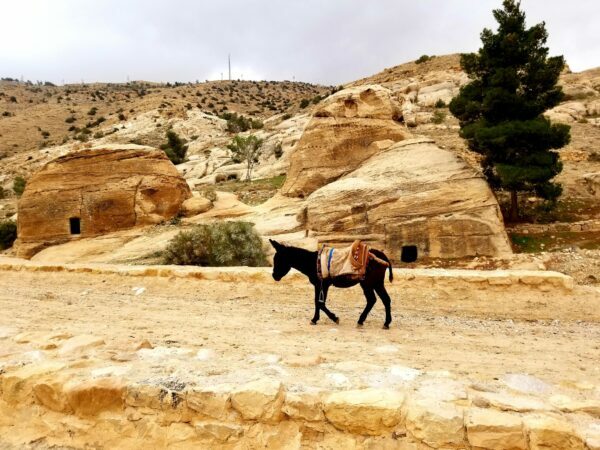 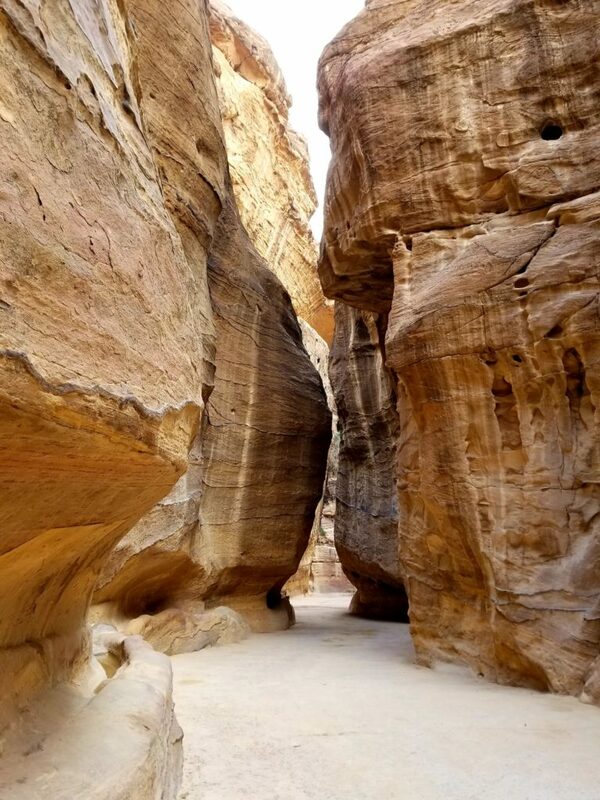 Jordan, an Arab nation on the east bank of the Jordan River, is defined by ancient monuments, nature reserves and seaside resorts. 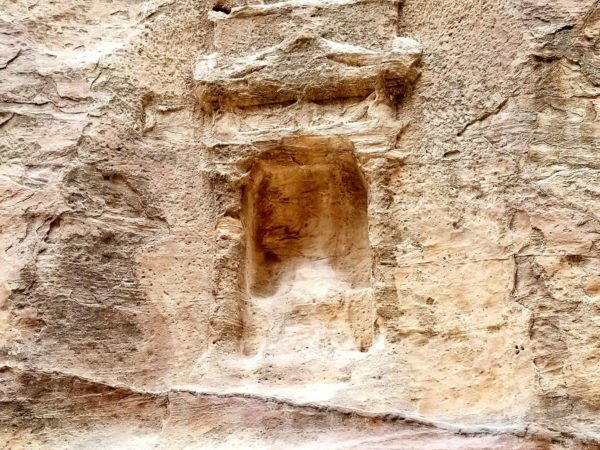 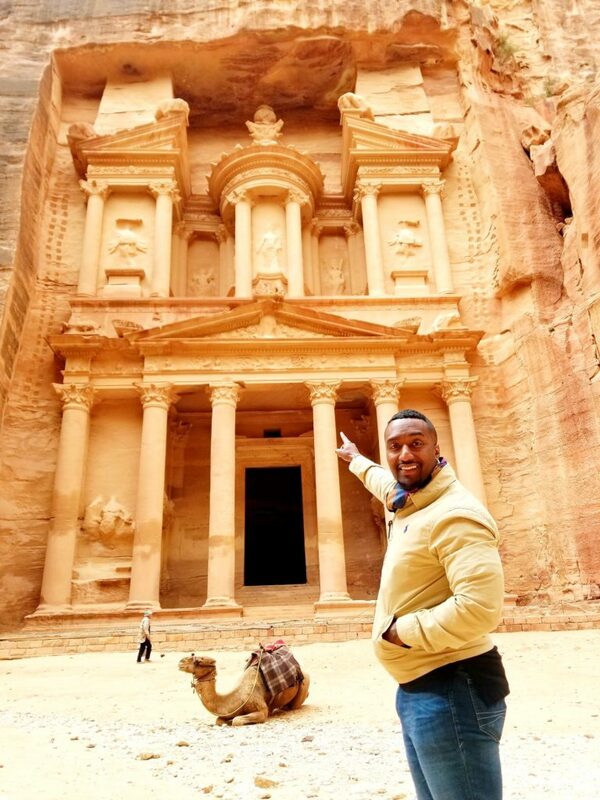 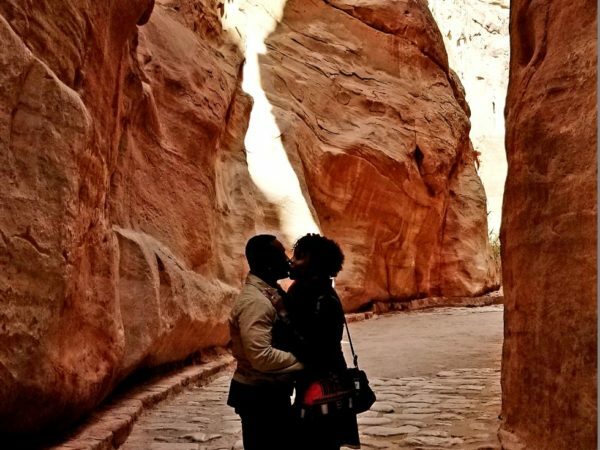 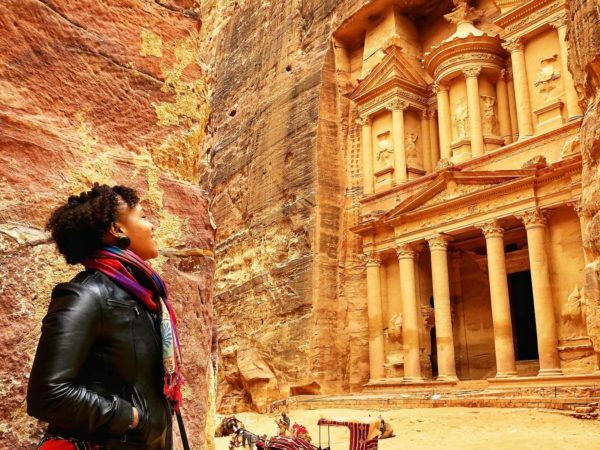 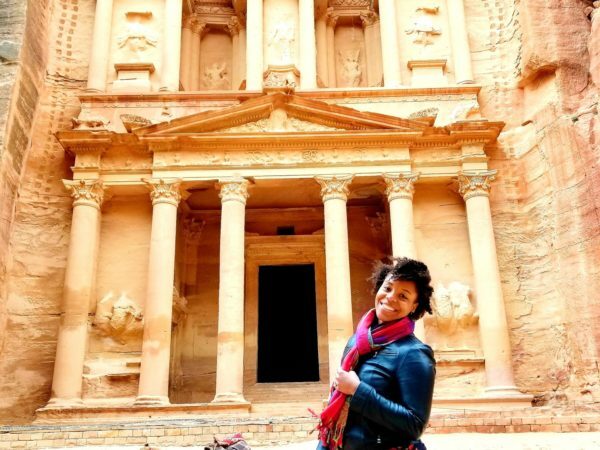 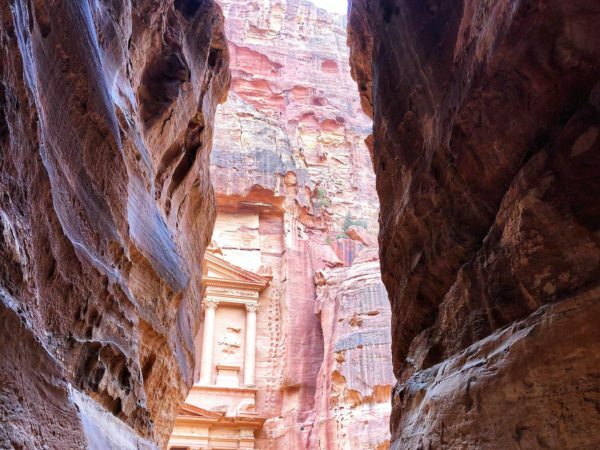 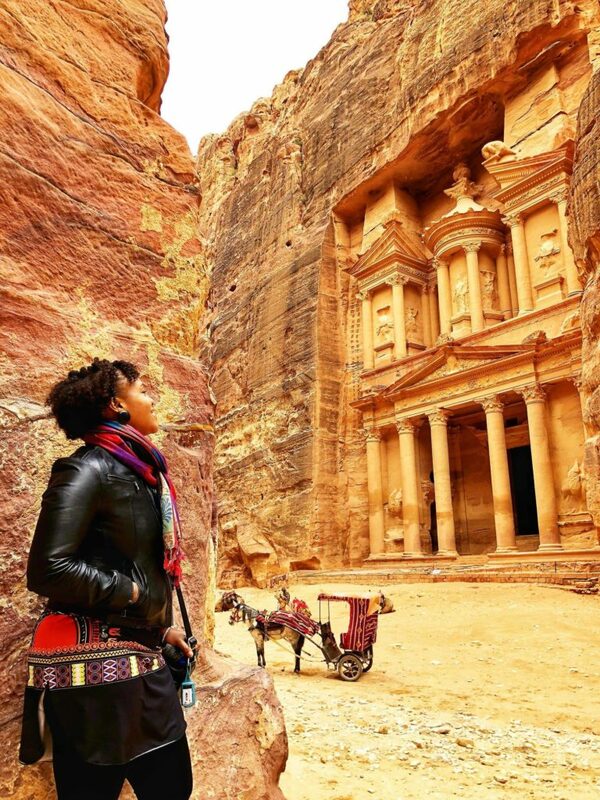 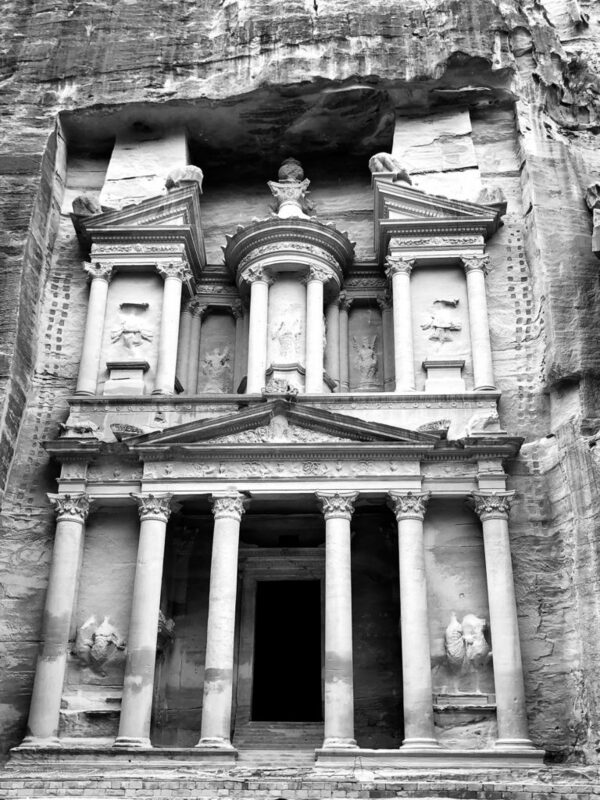 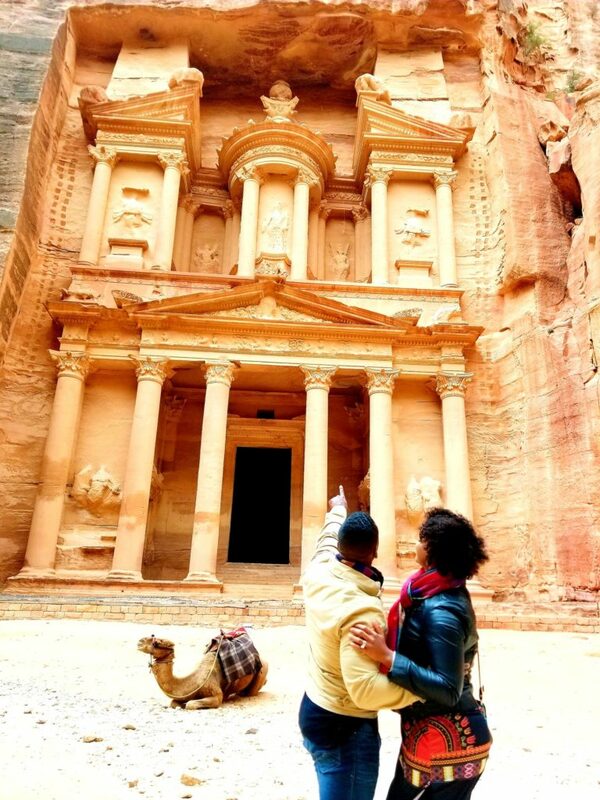 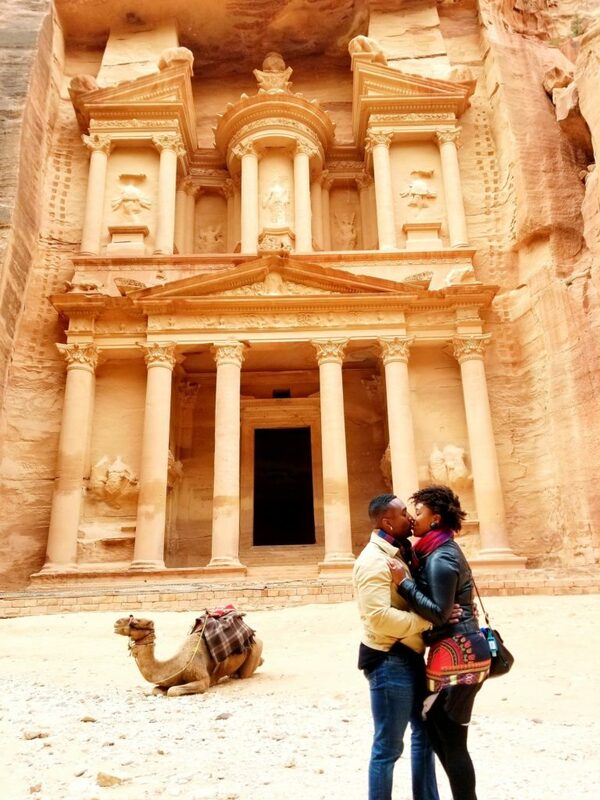 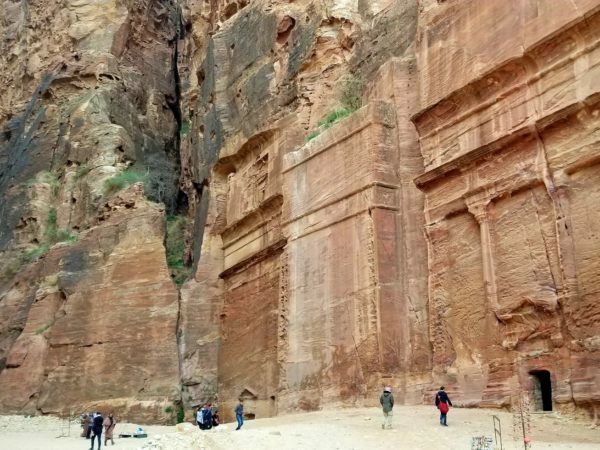 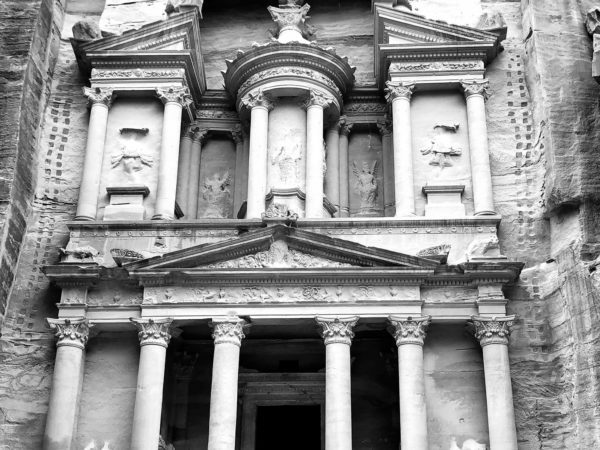 It’s home to the famed archaeological site of Petra, one of the 7 Wonders of the World. 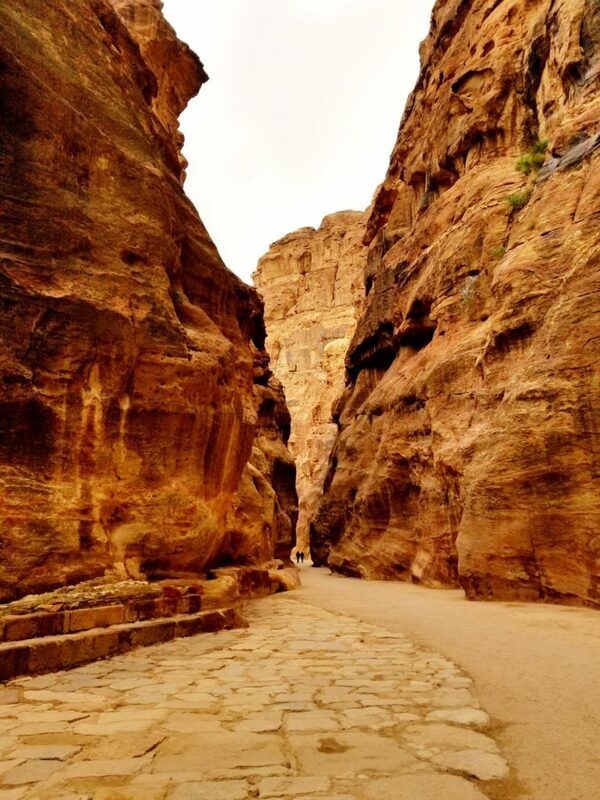 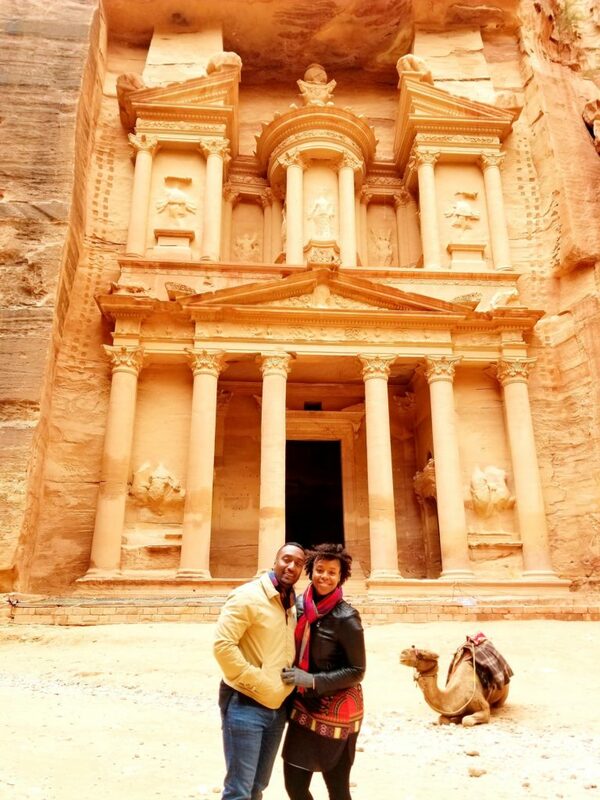 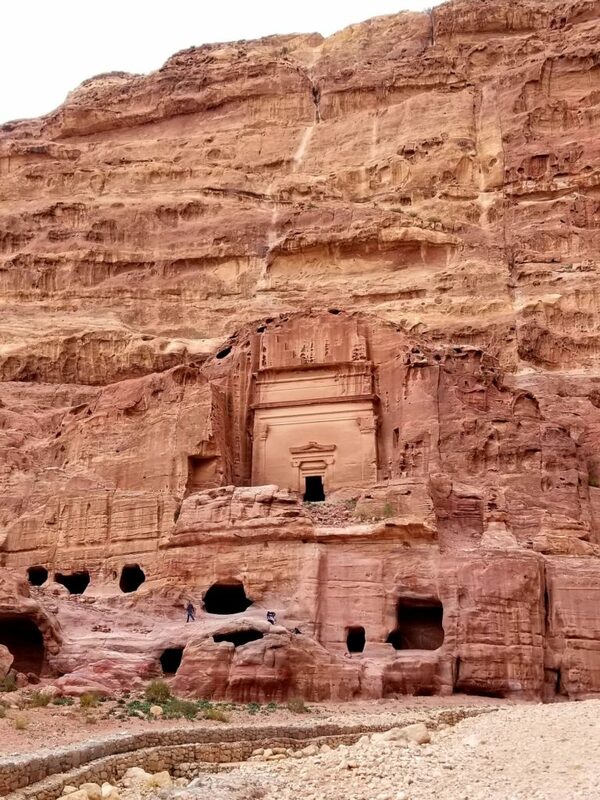 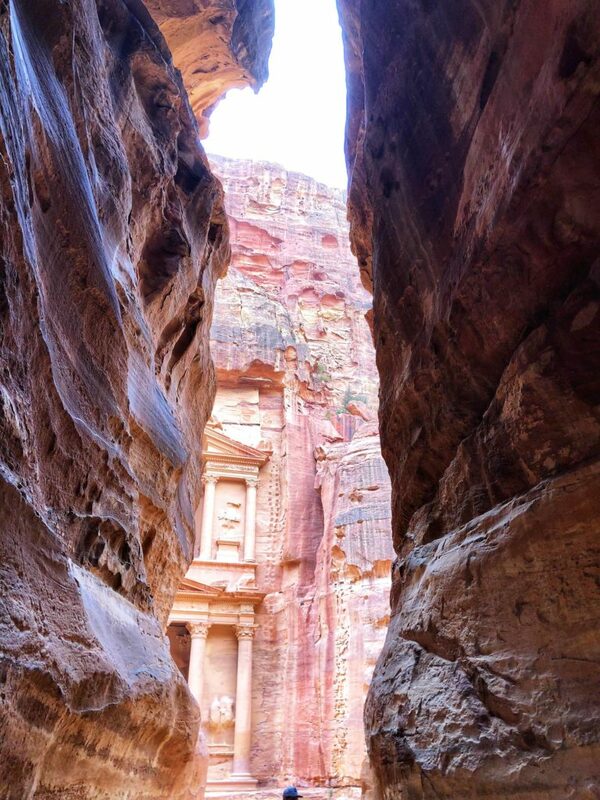 Petra was the Nabatean capital dating to around 300 B.C. 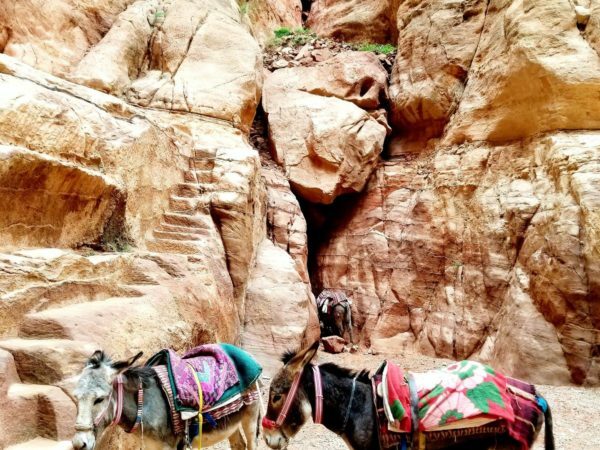 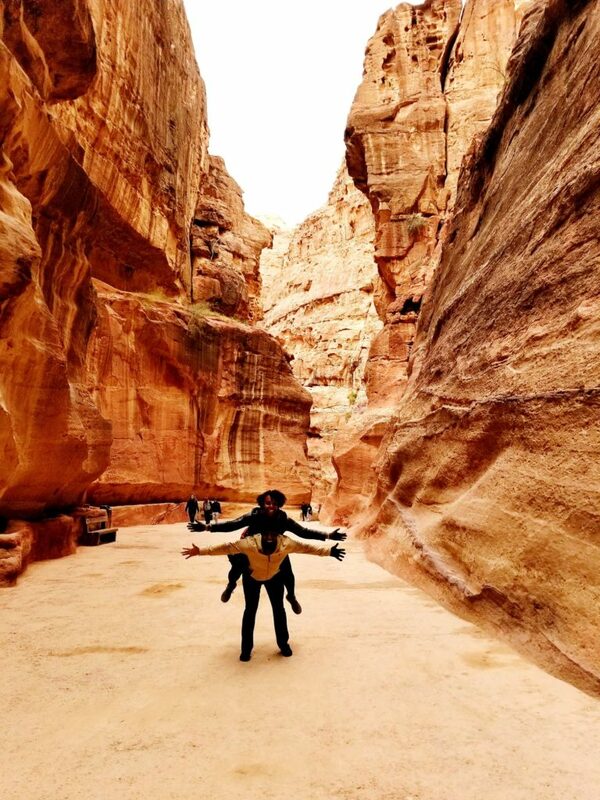 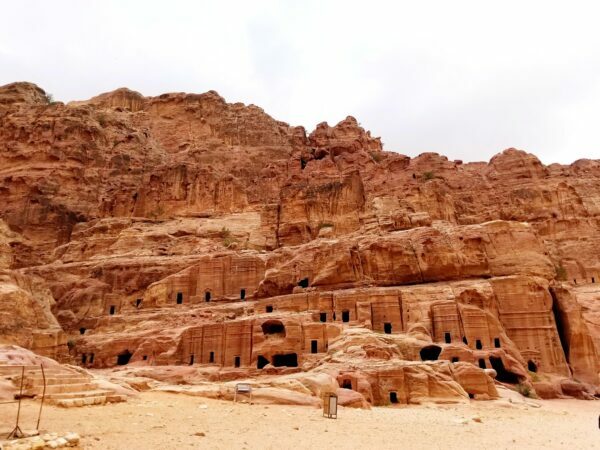 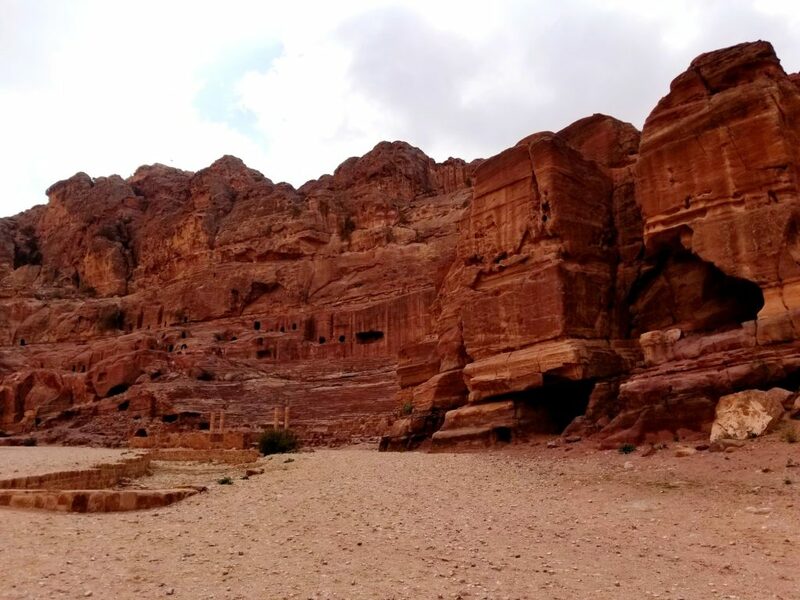 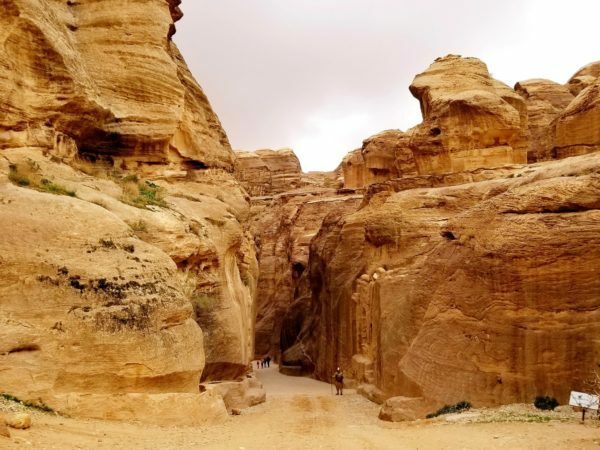 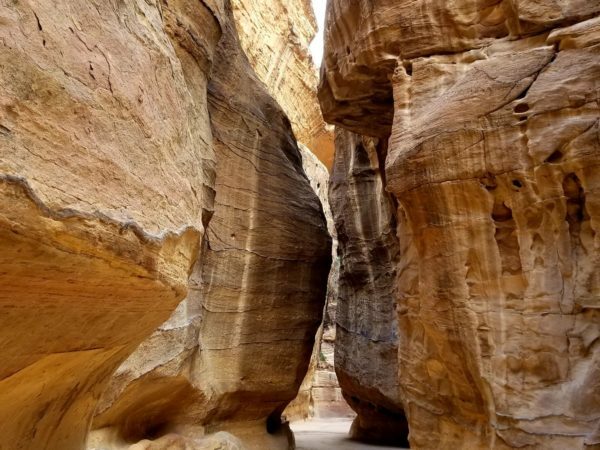 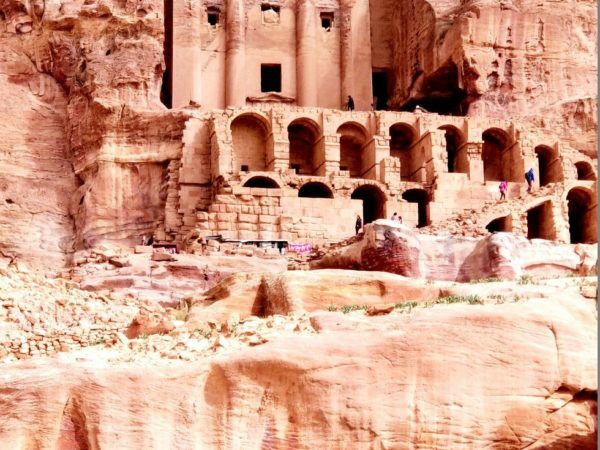 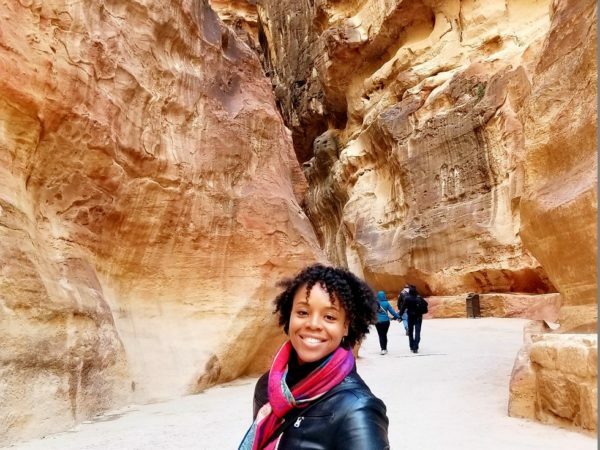 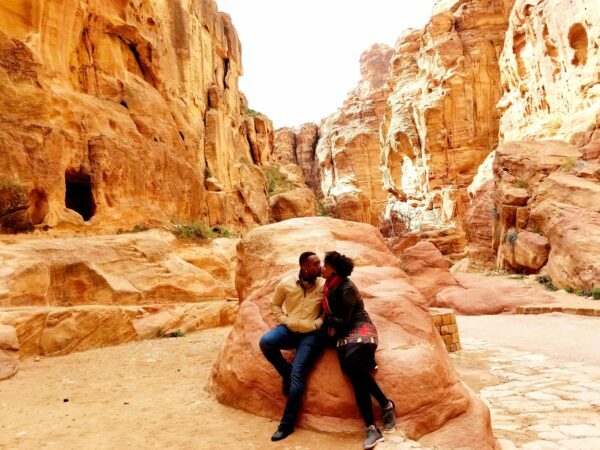 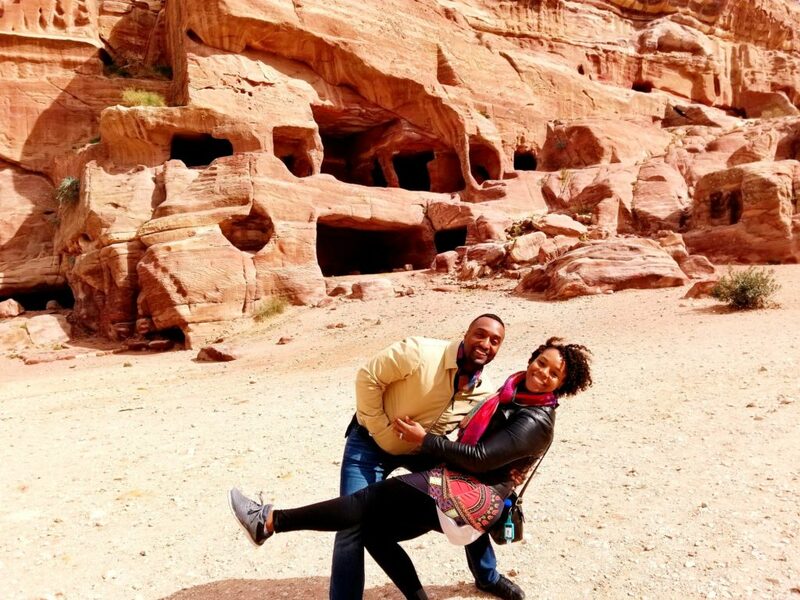 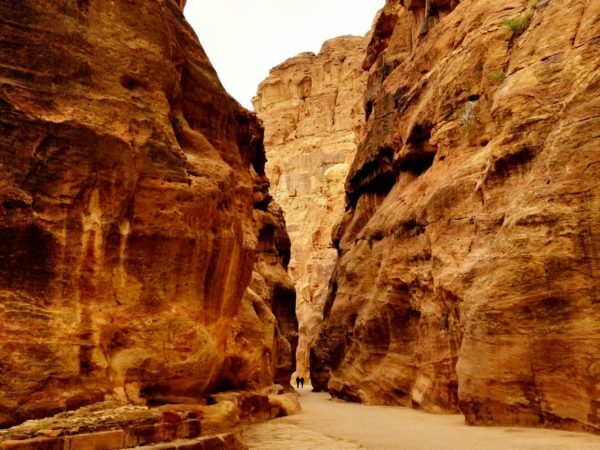 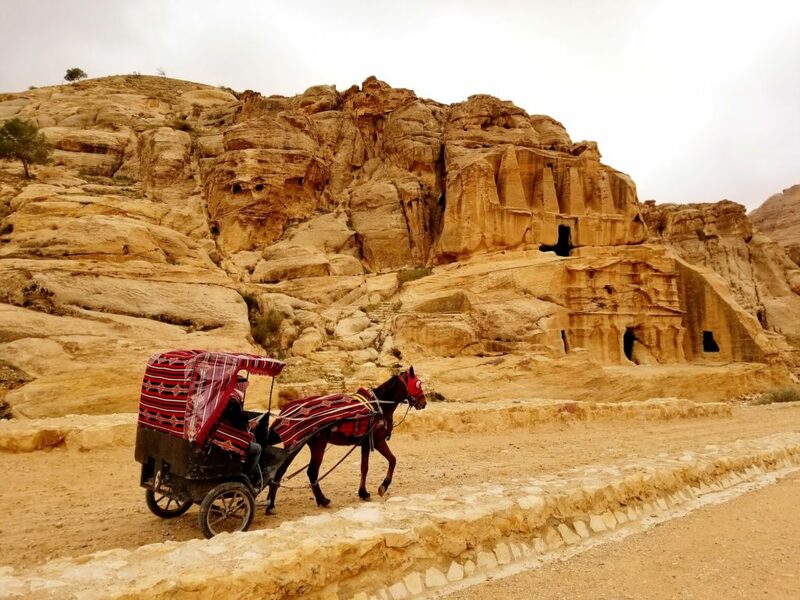 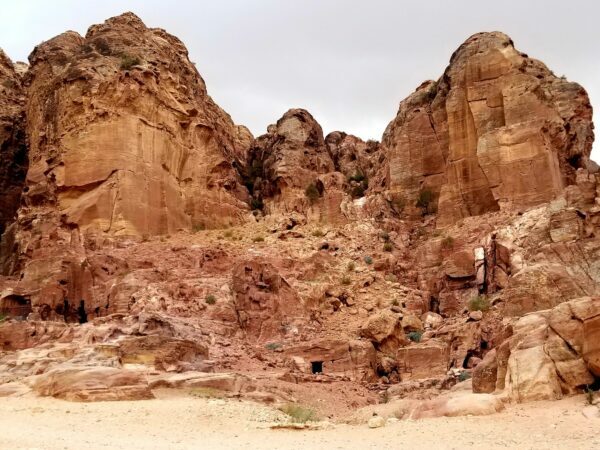 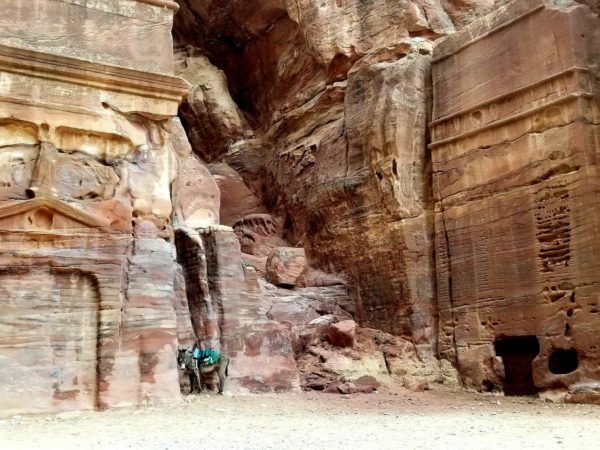 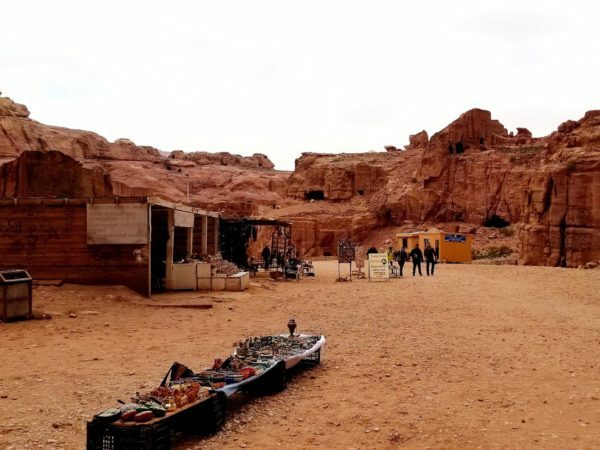 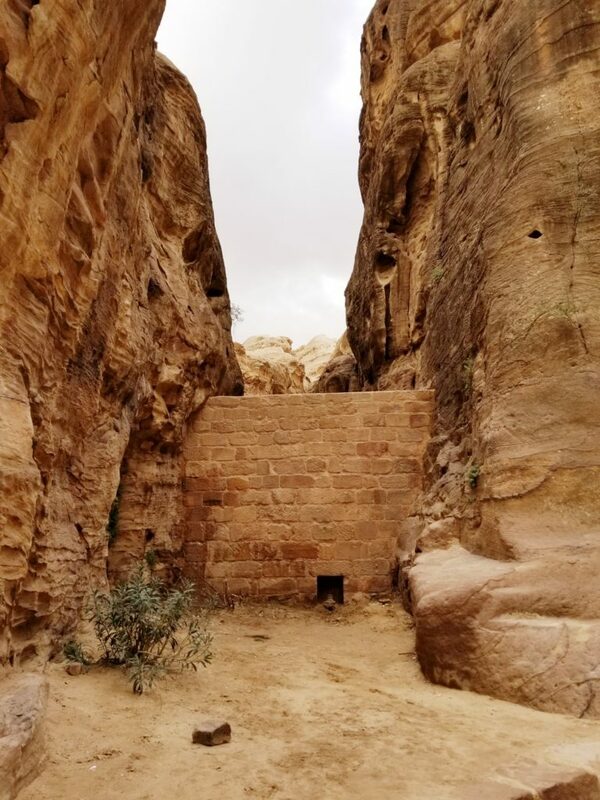 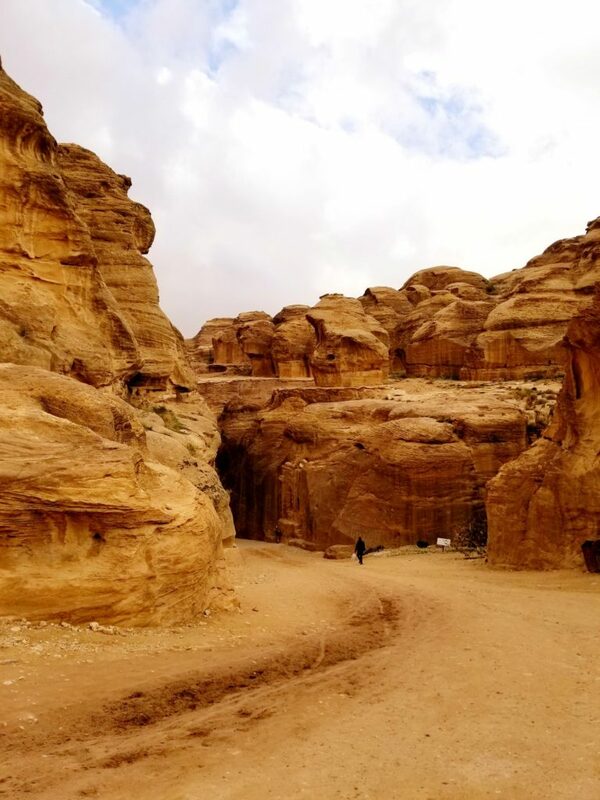 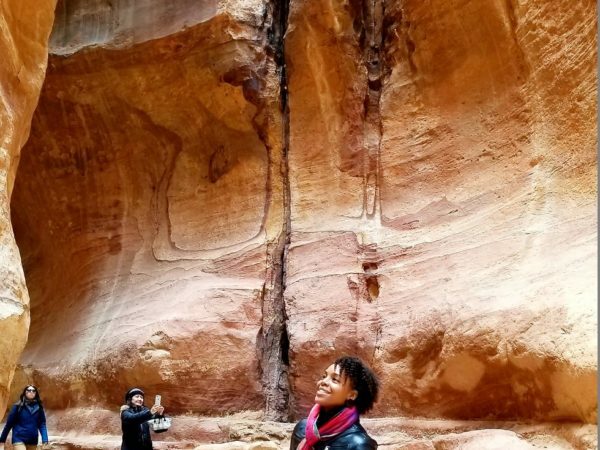 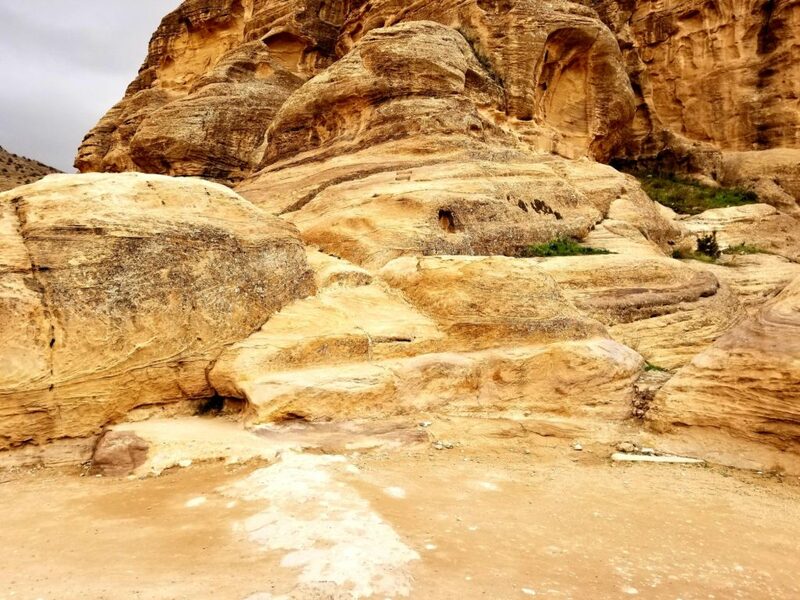 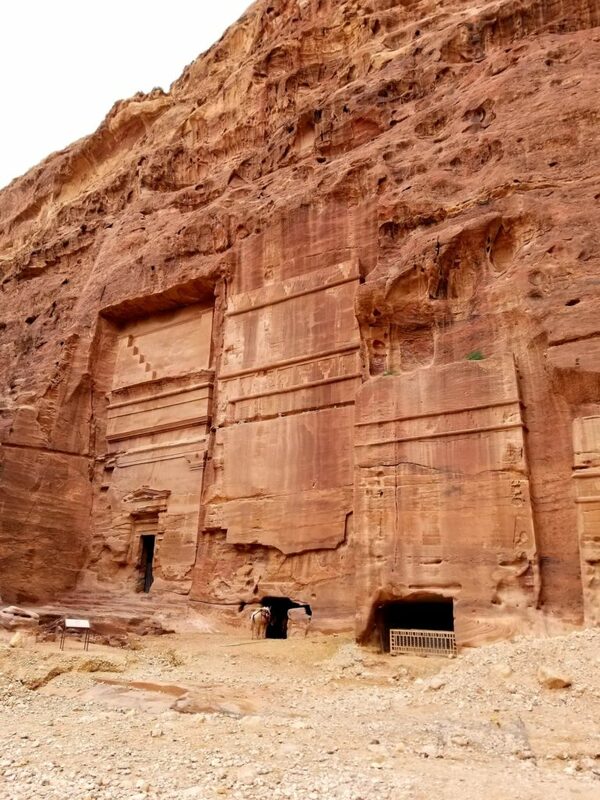 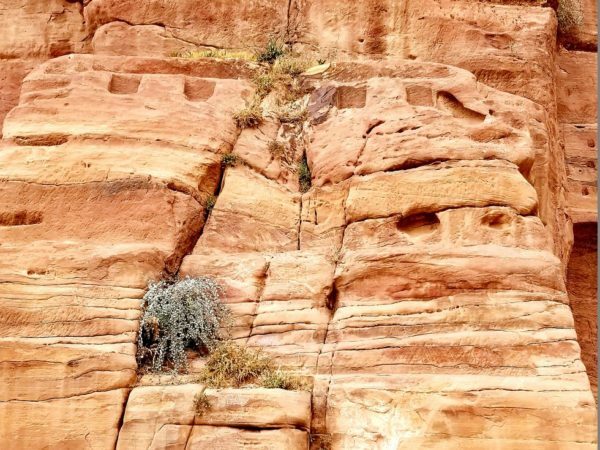 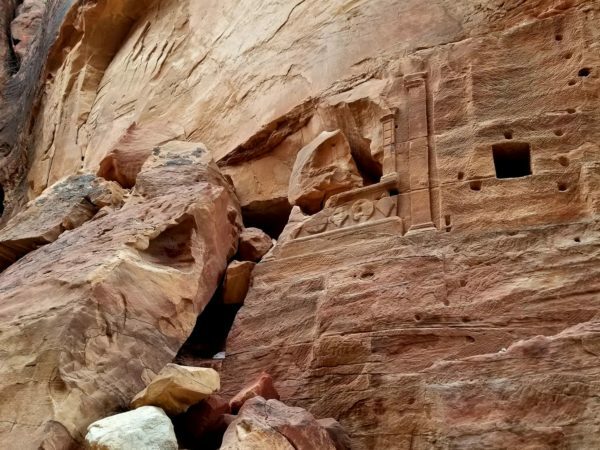 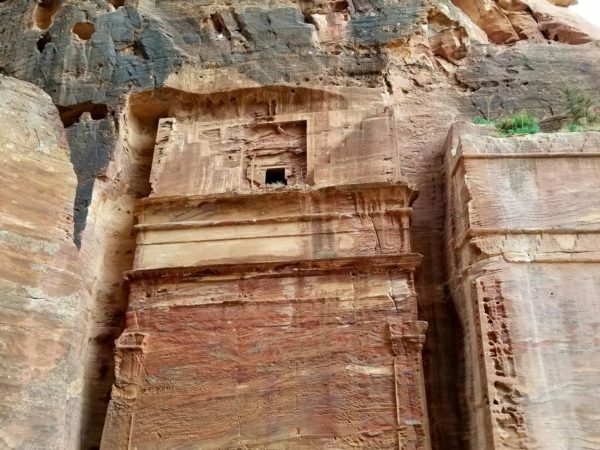 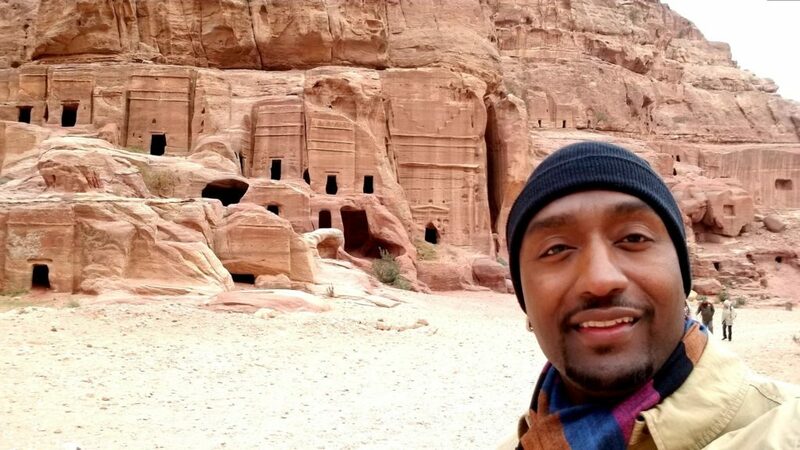 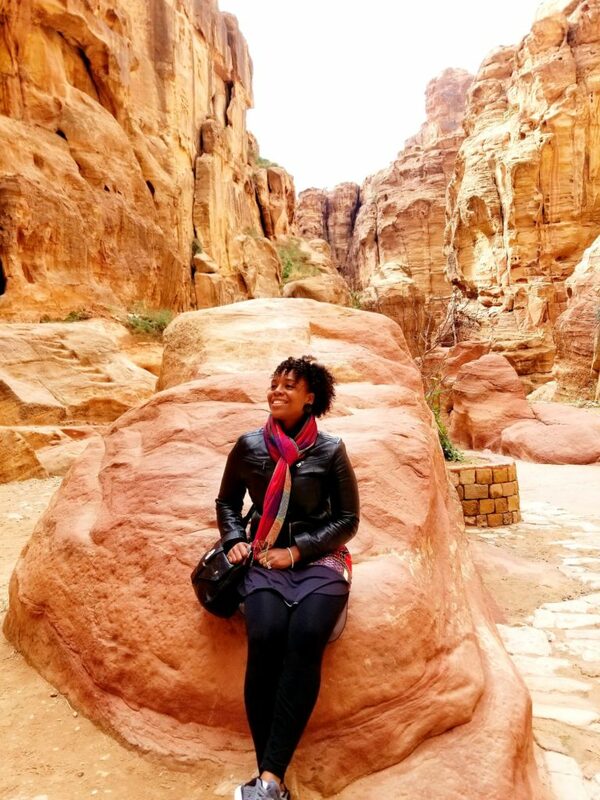 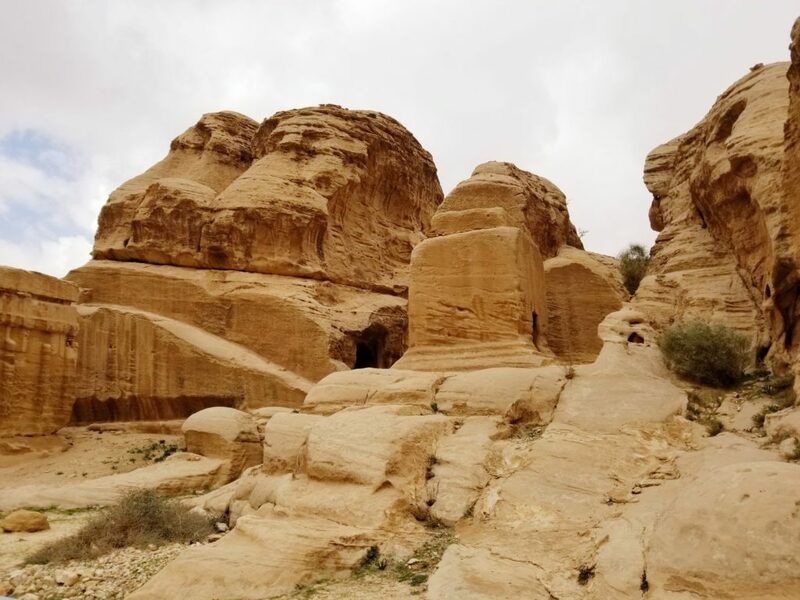 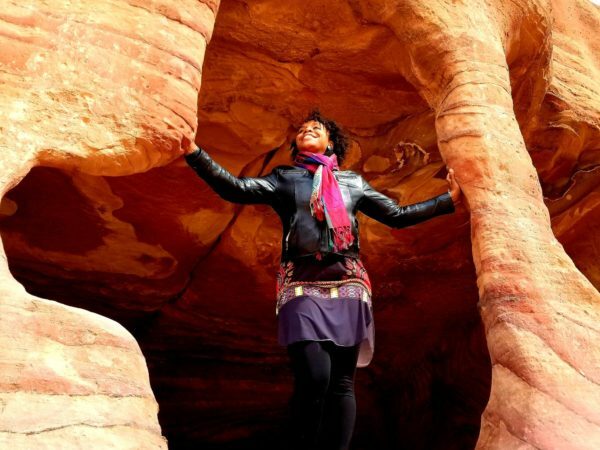 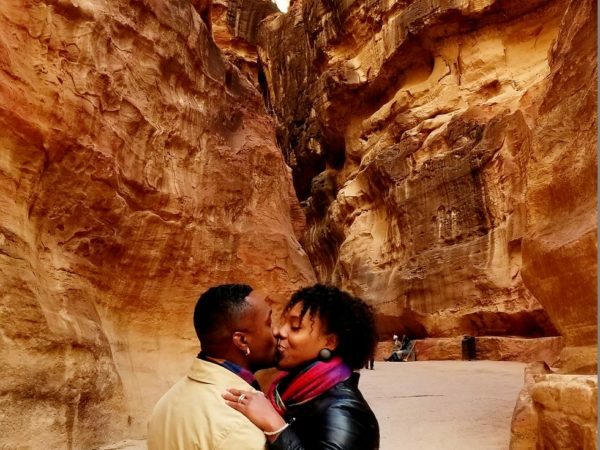 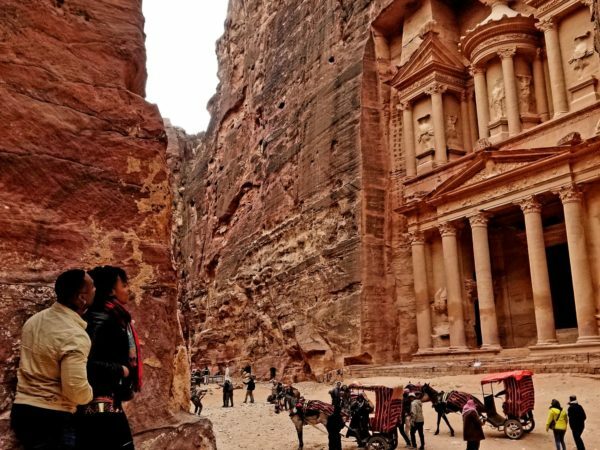 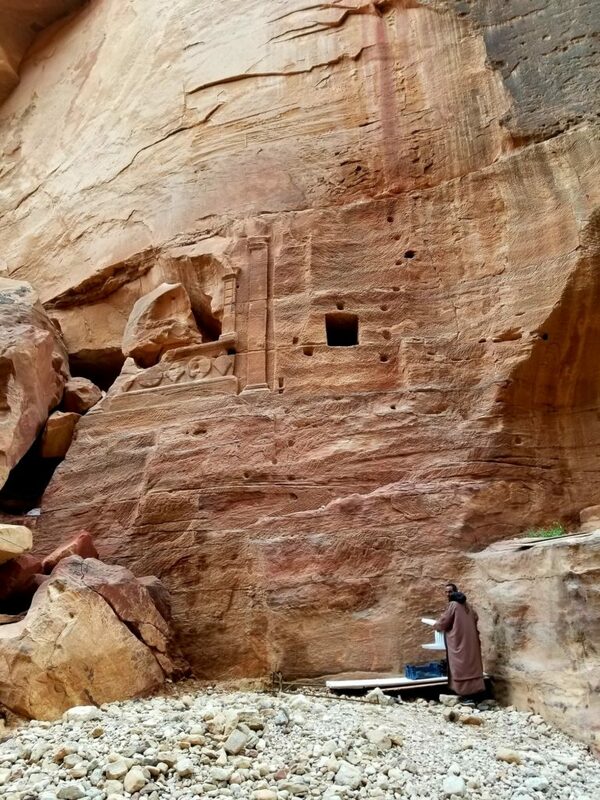 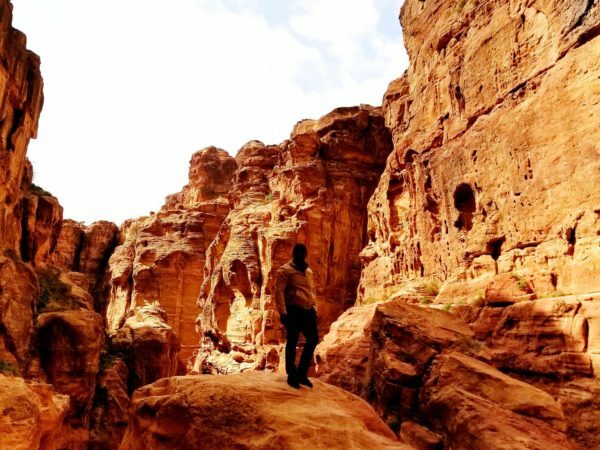 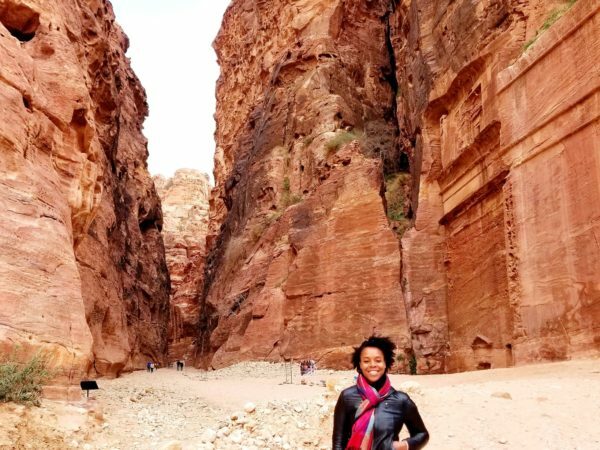 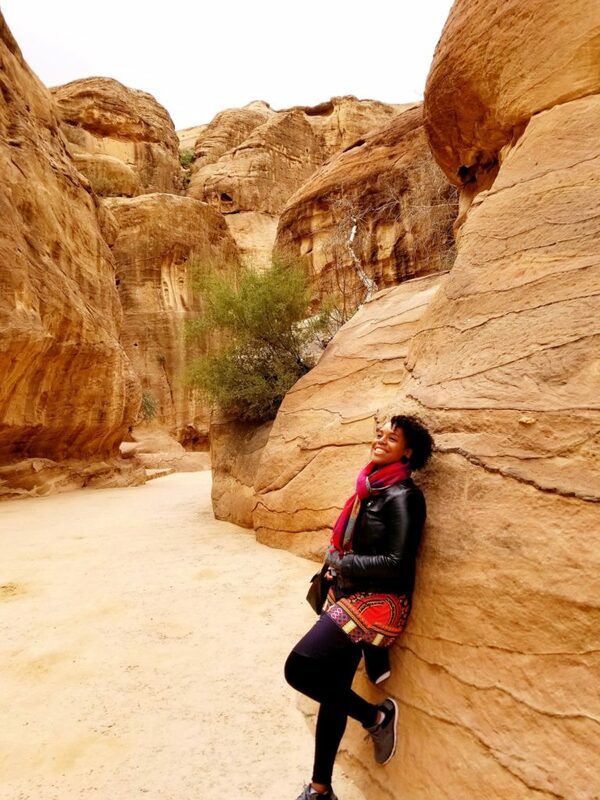 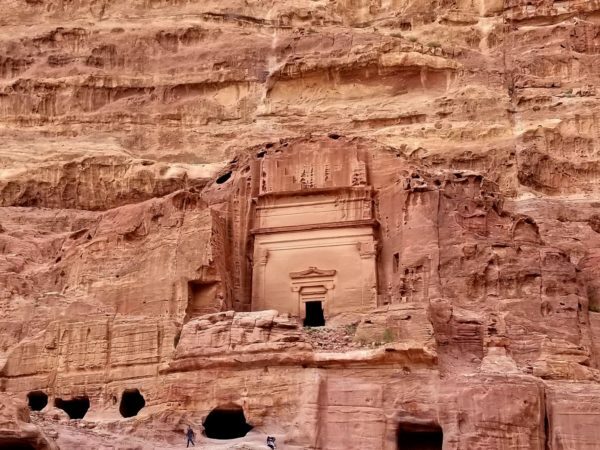 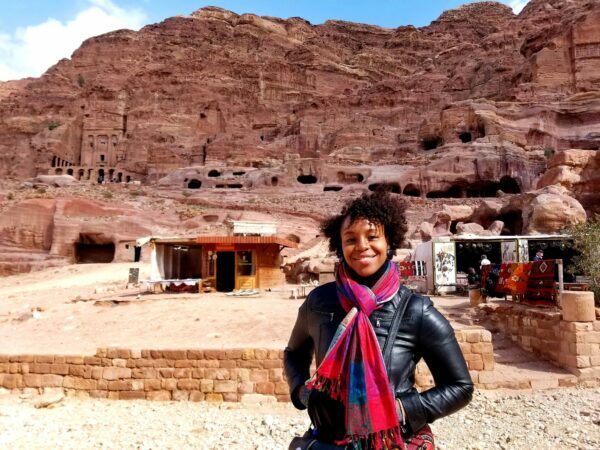 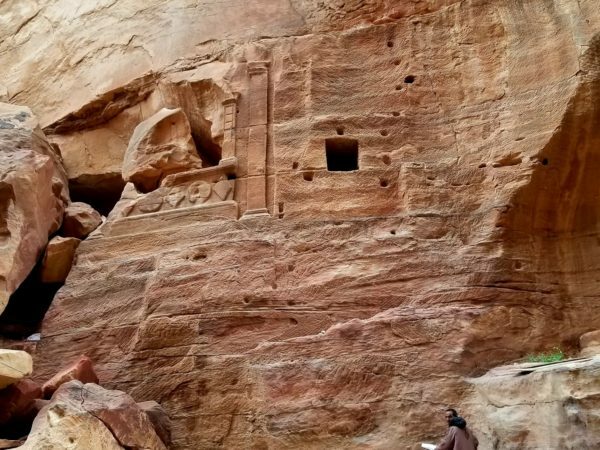 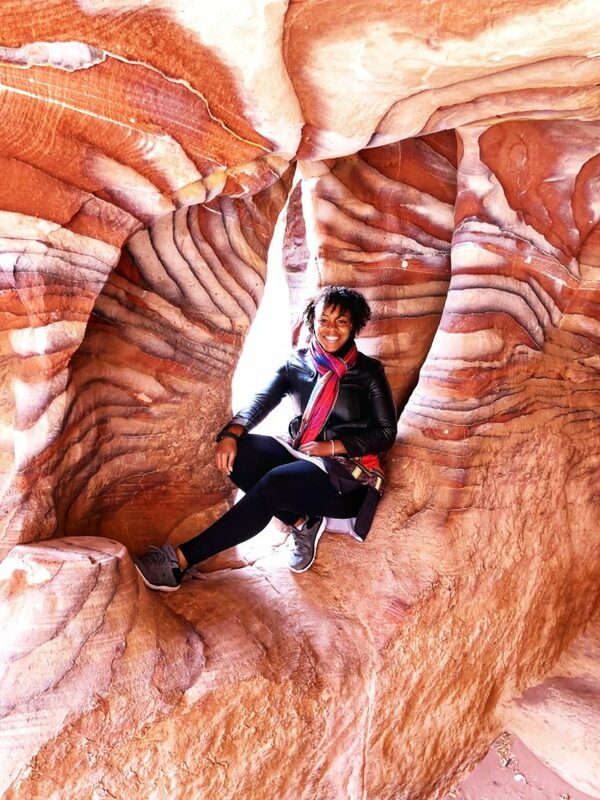 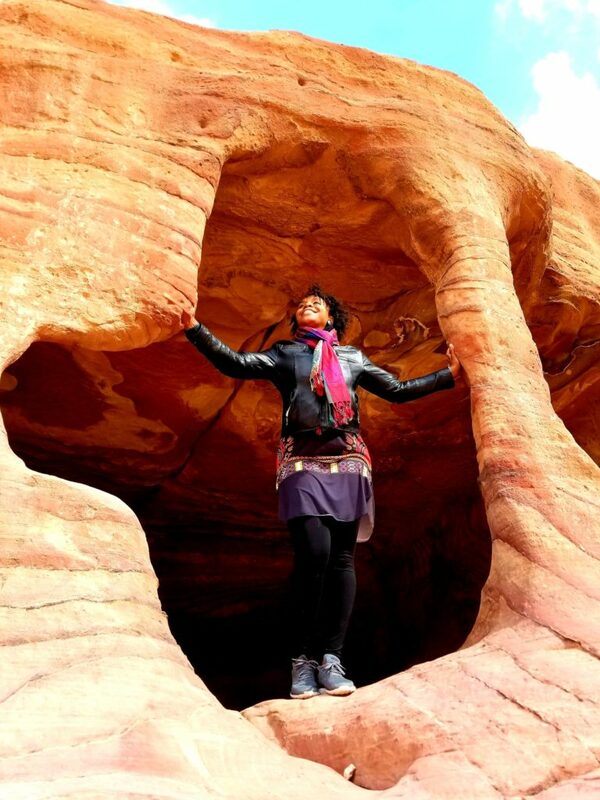 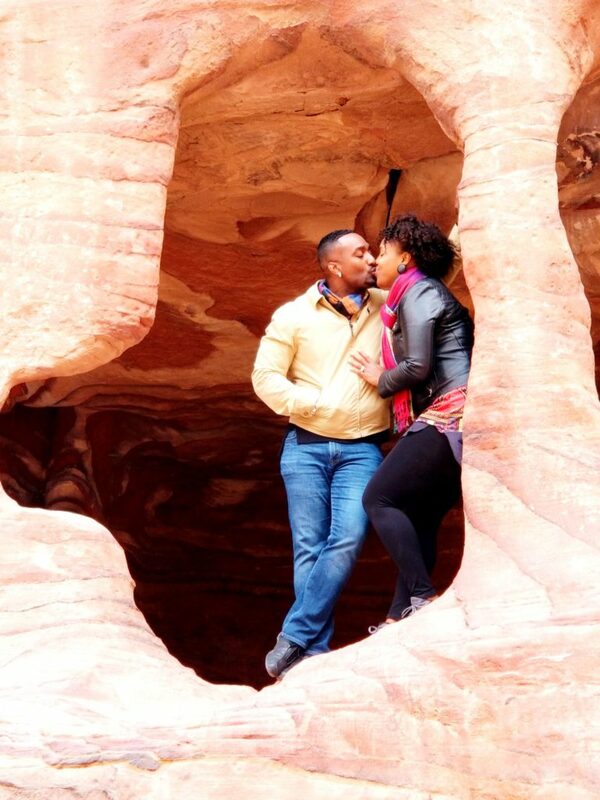 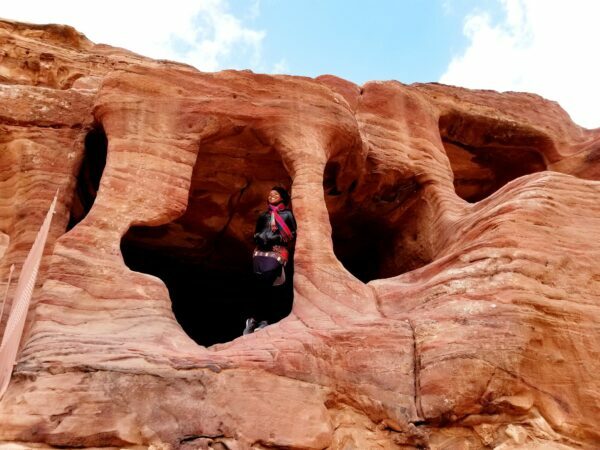 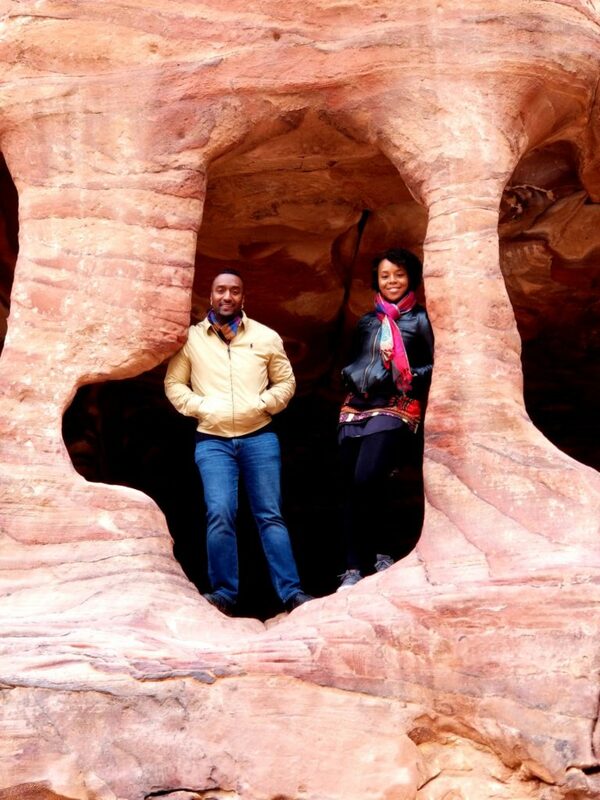 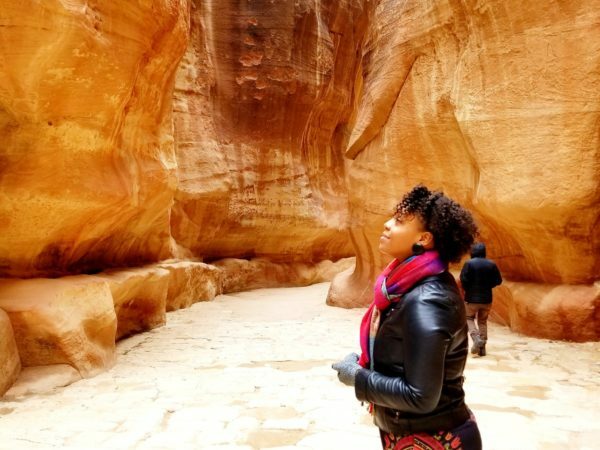 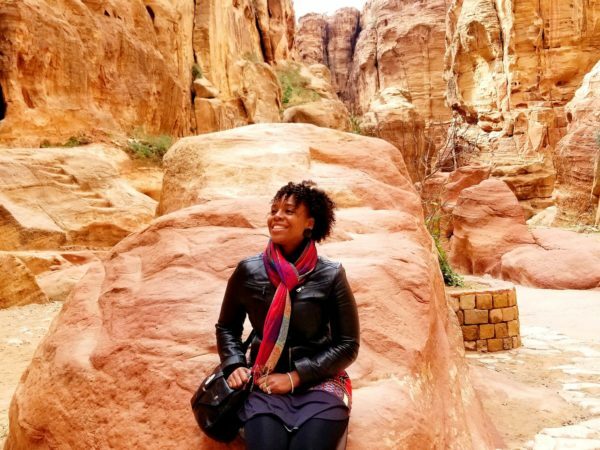 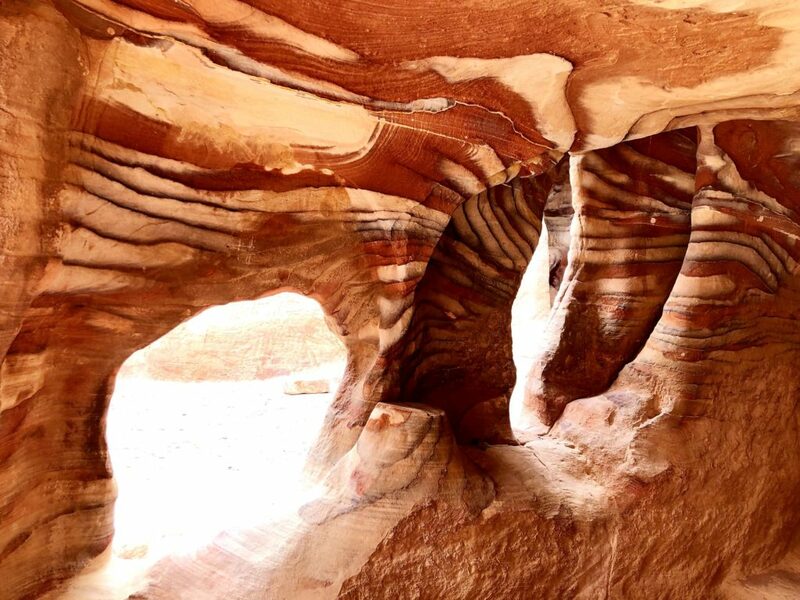 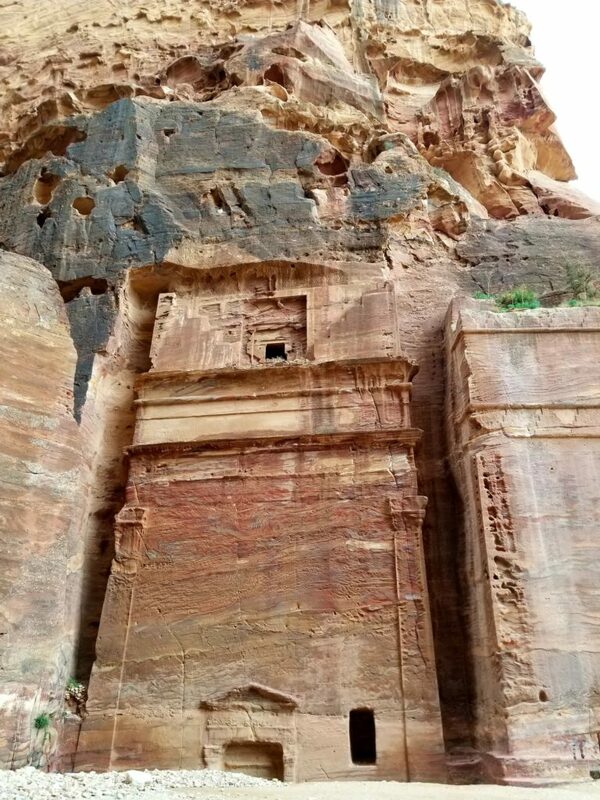 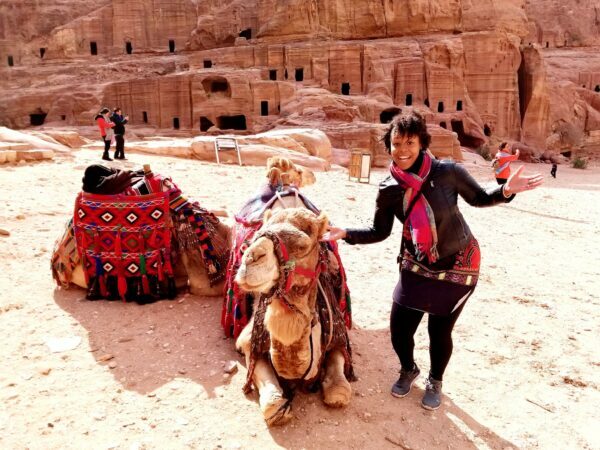 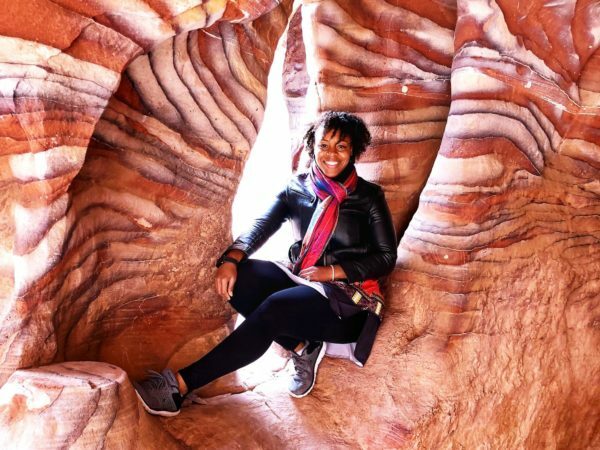 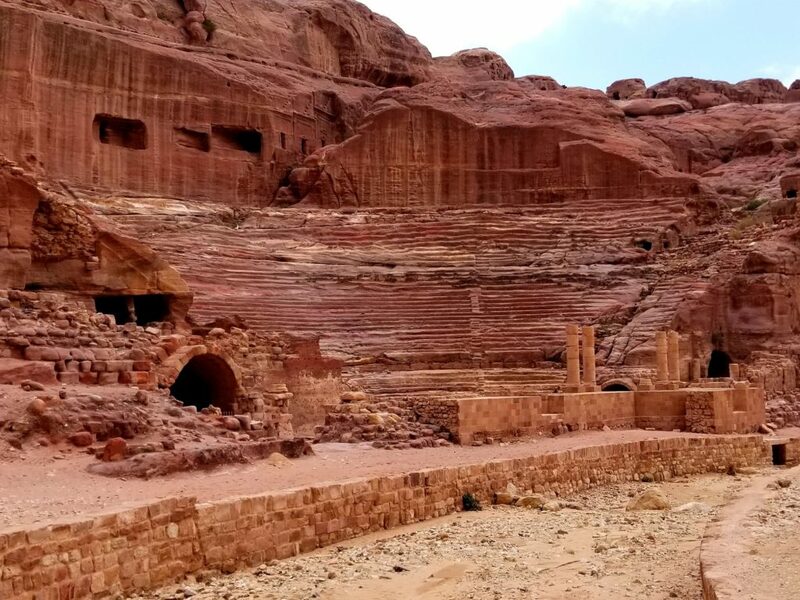 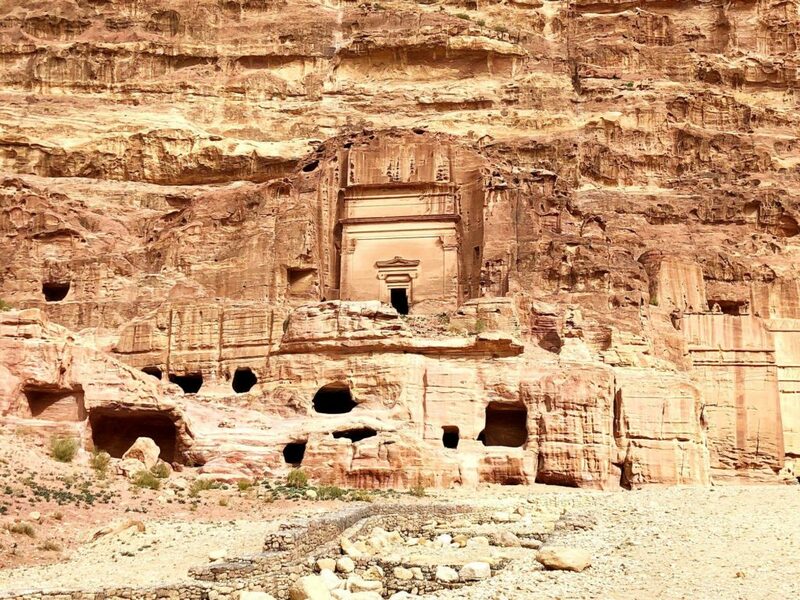 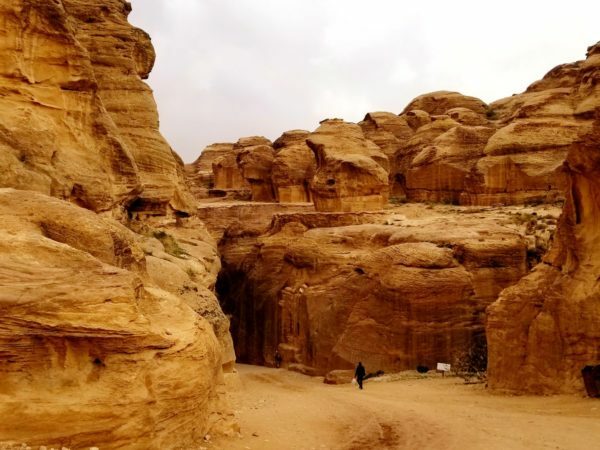 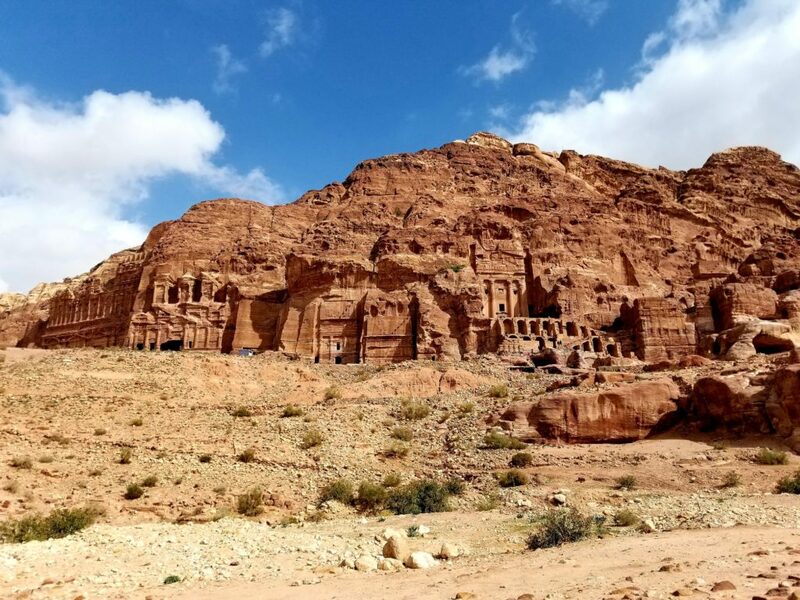 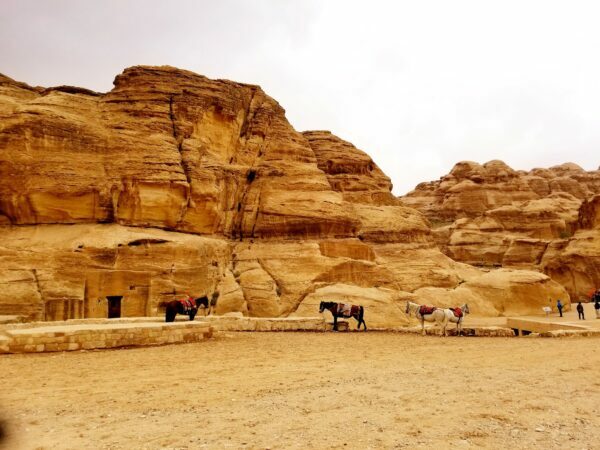 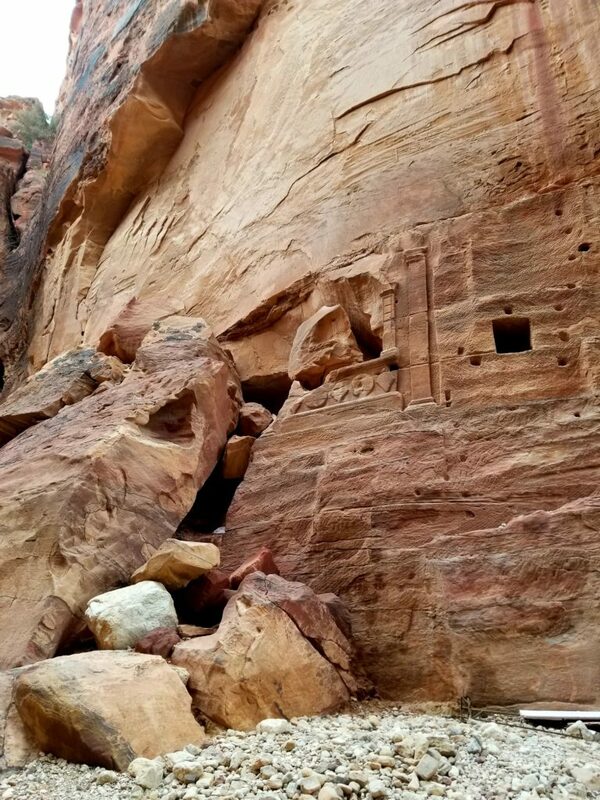 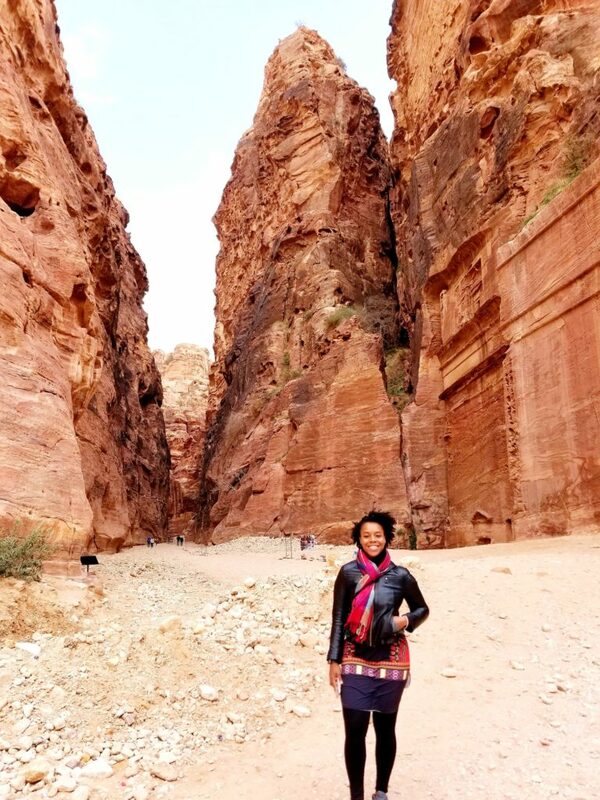 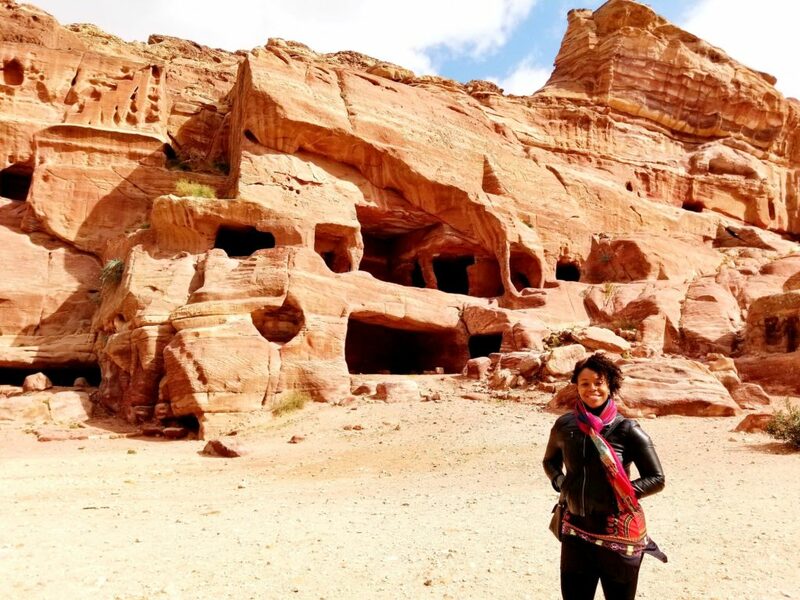 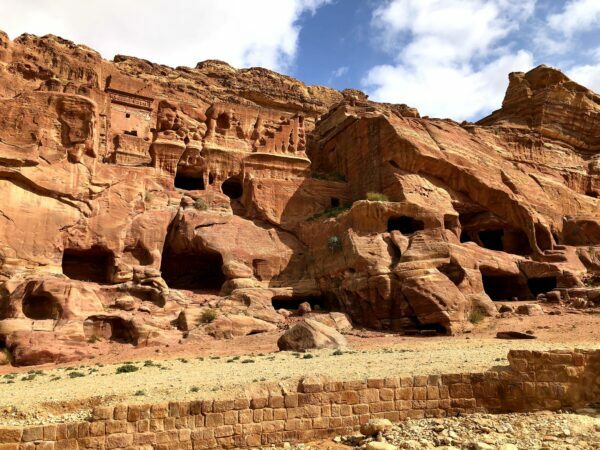 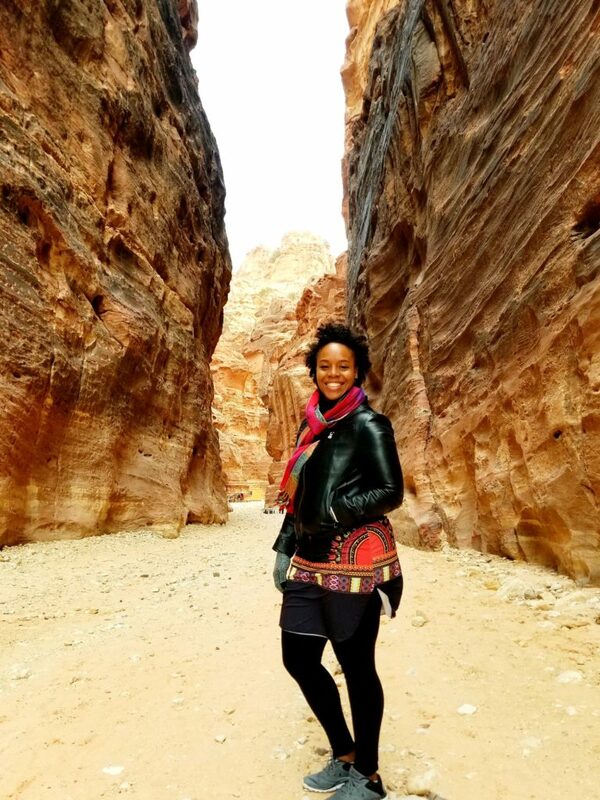 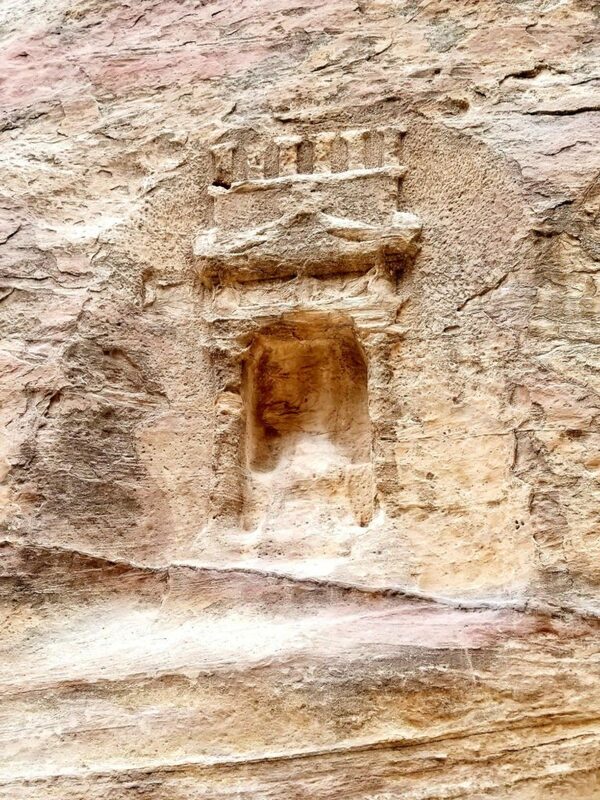 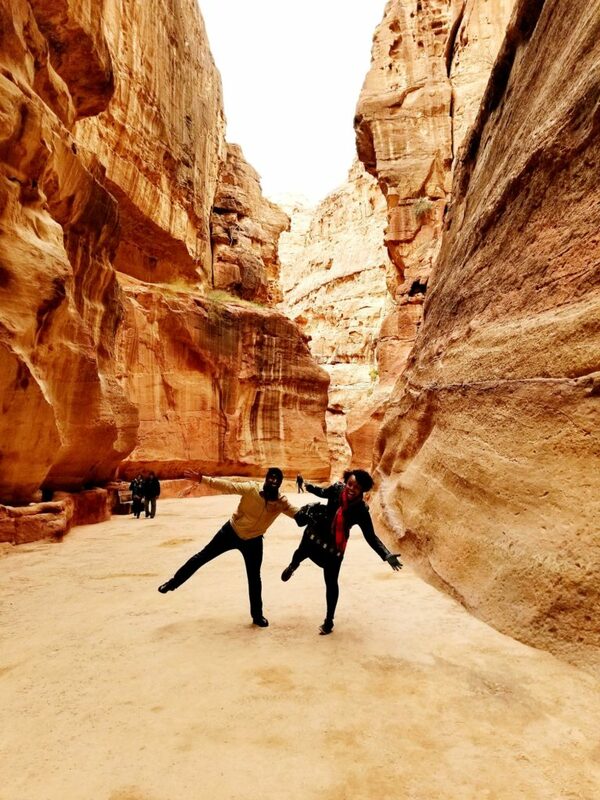 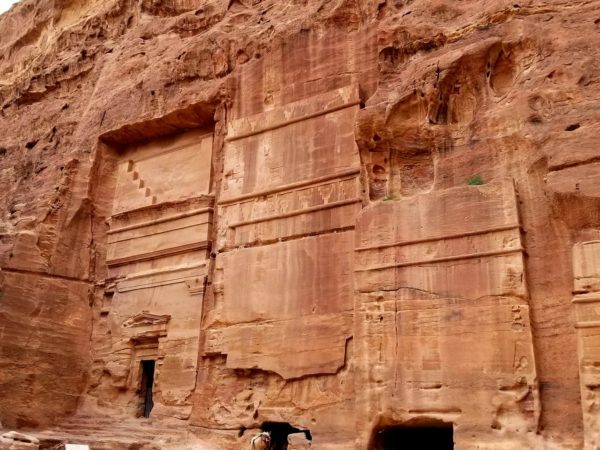 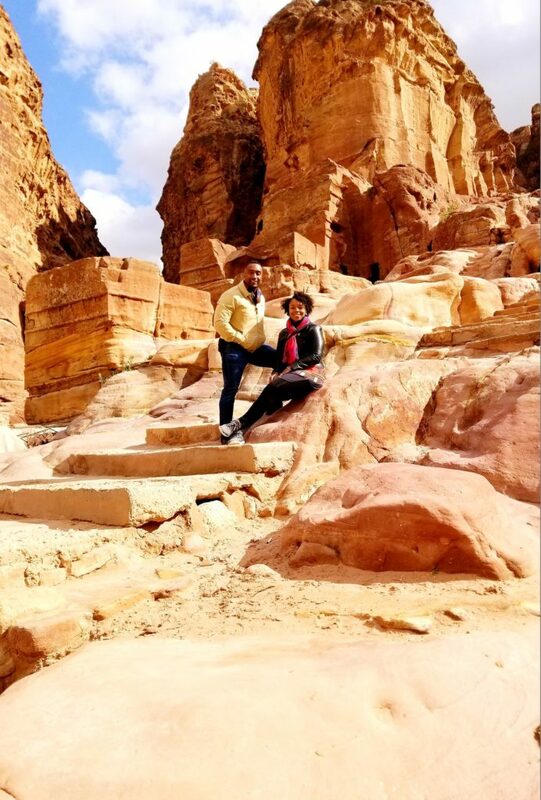 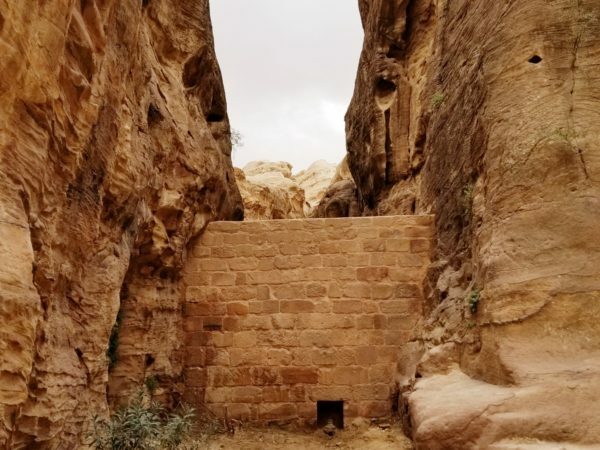 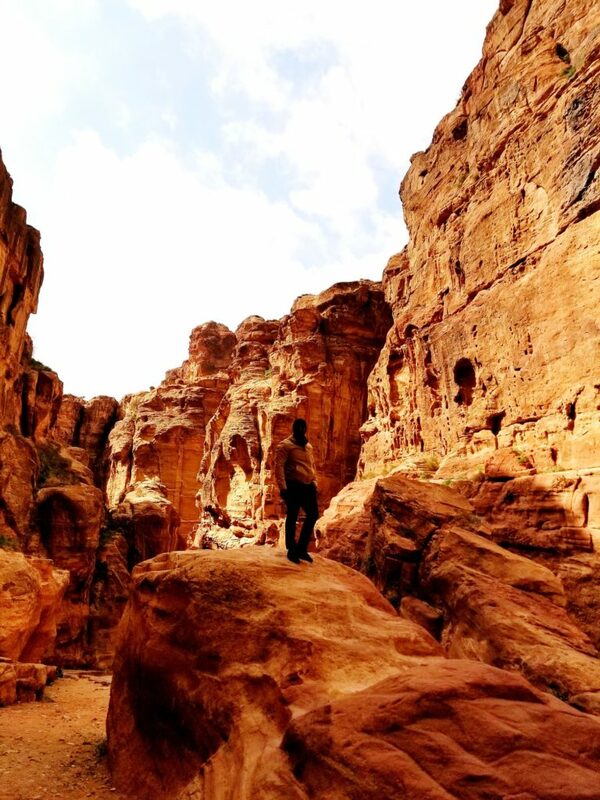 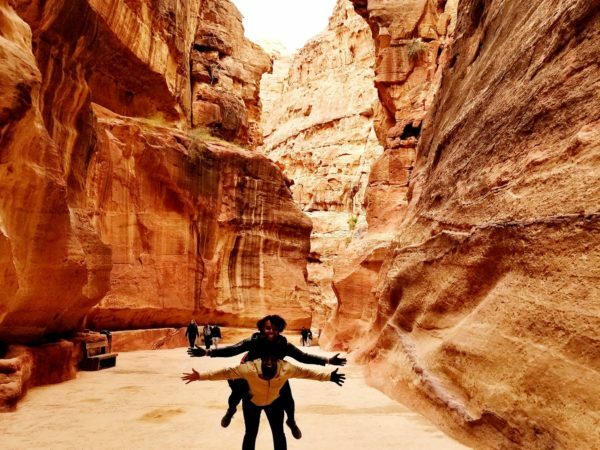 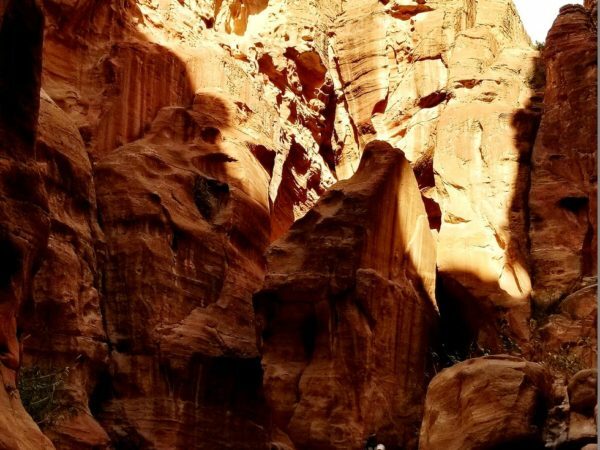 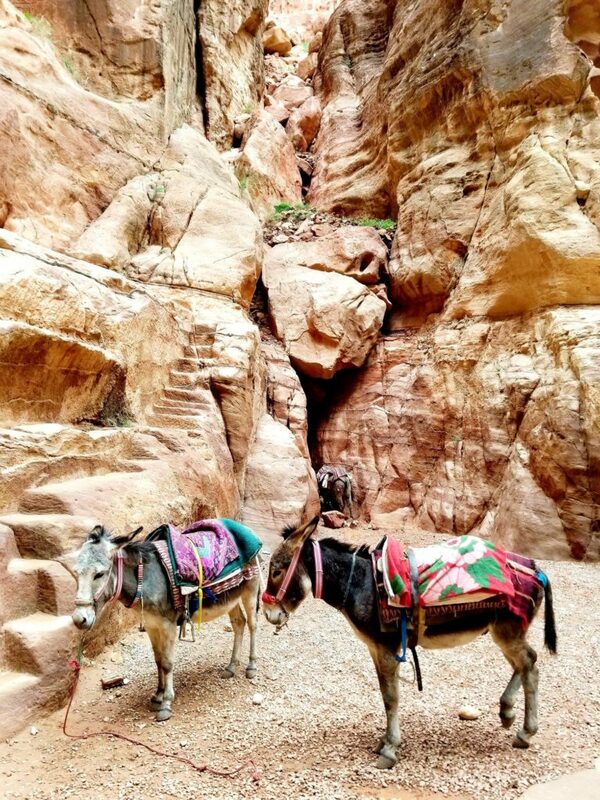 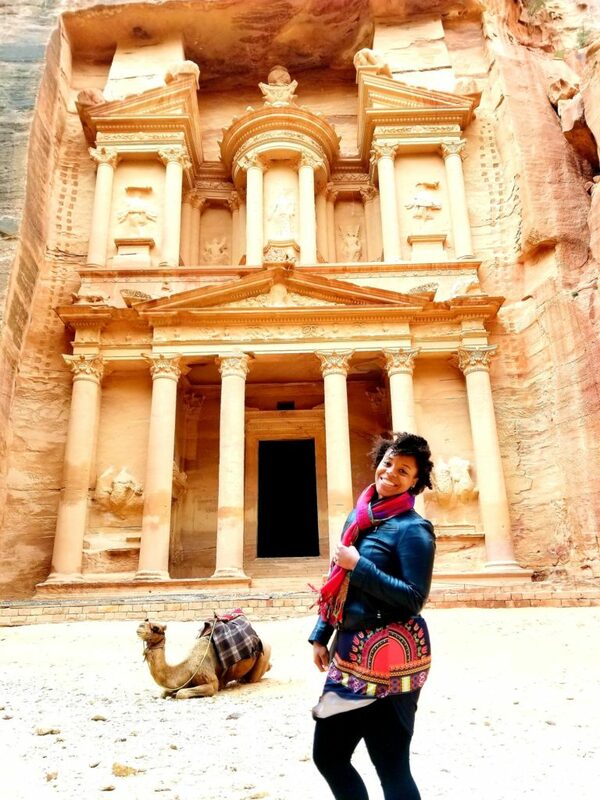 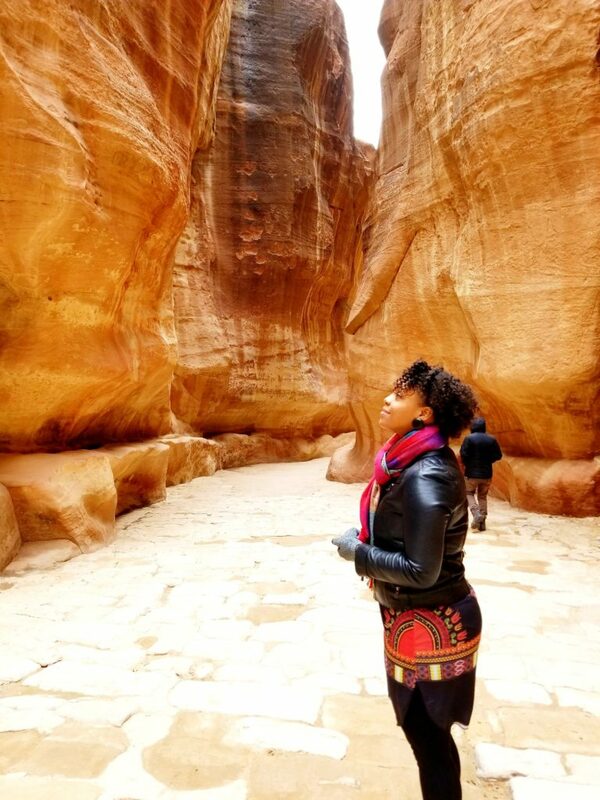 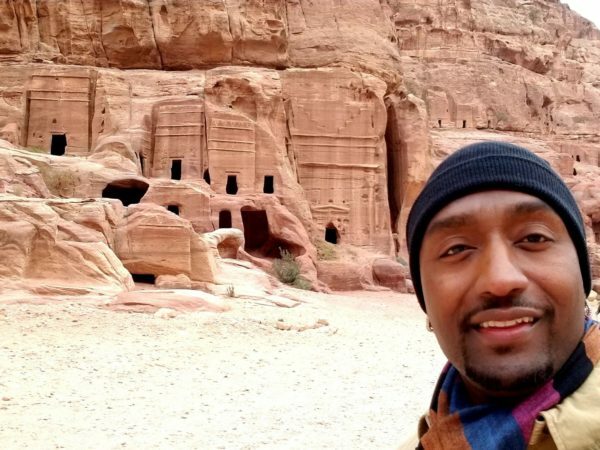 Set in a narrow valley with tombs, temples and monuments carved into the surrounding pink sandstone cliffs, Petra earns its nickname, the “Rose City.”The Nabatean capital was set in a narrow valley with tombs, temples and monuments carved into the surrounding pink sandstone cliffs. 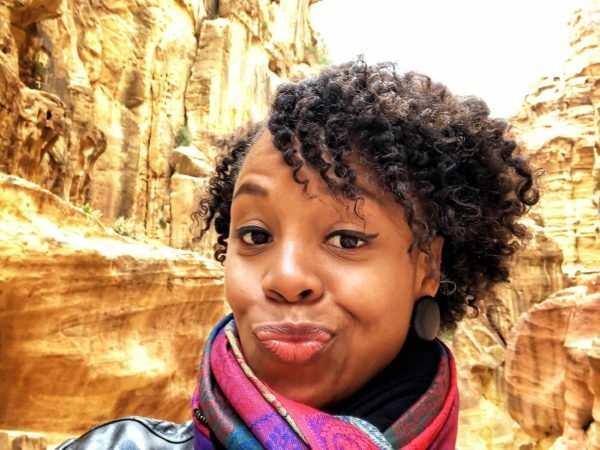 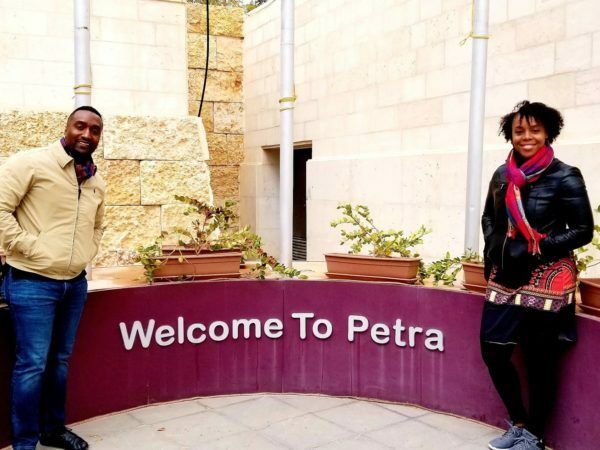 We visited Jordan in February 2018 when we were staying in Tel Aviv, Israel. 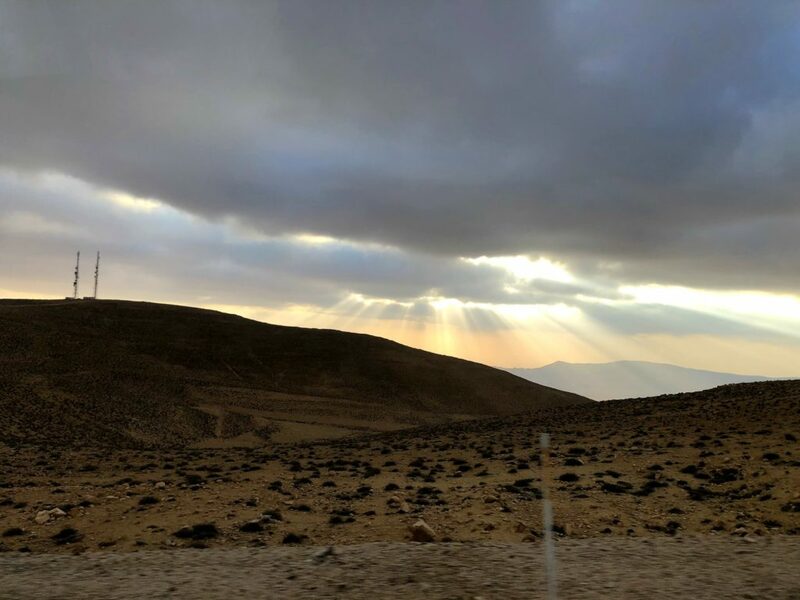 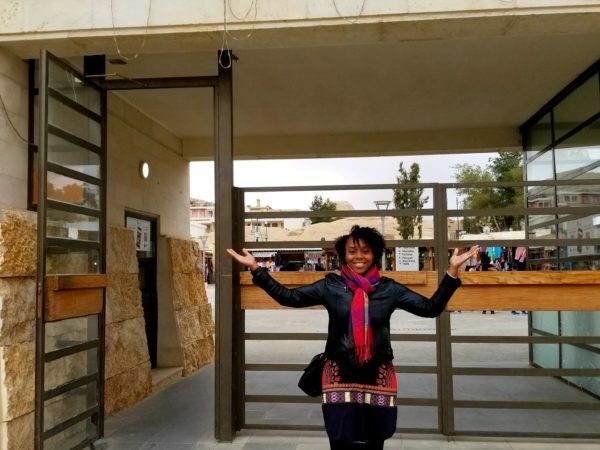 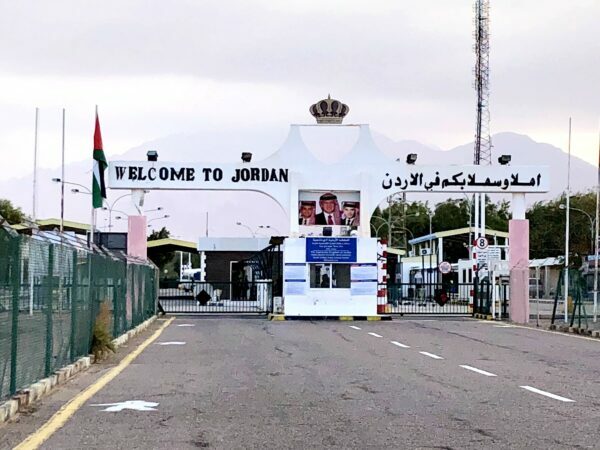 We flew to Eliat, Israel, then drove to the border and walked across to Jordan. 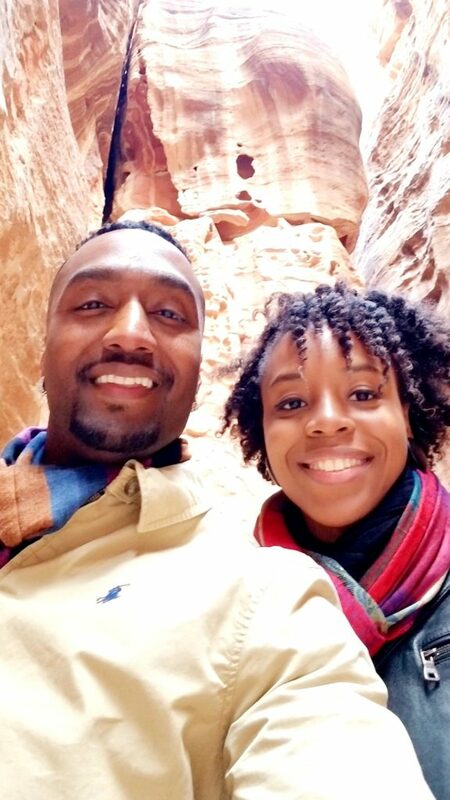 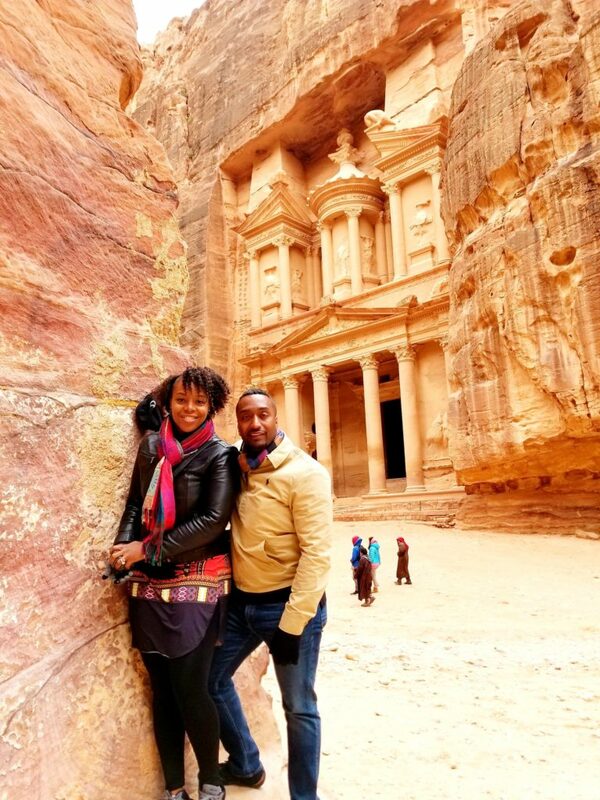 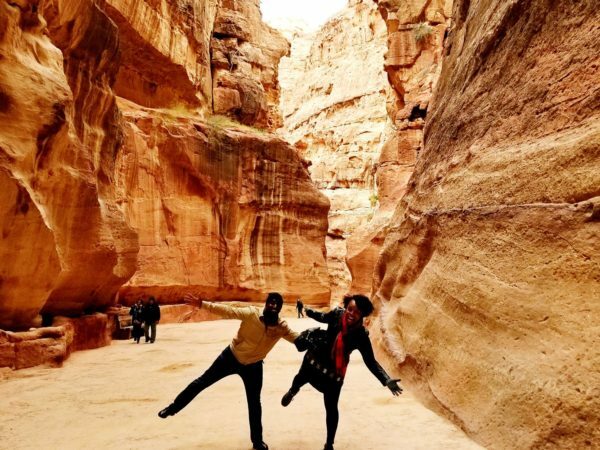 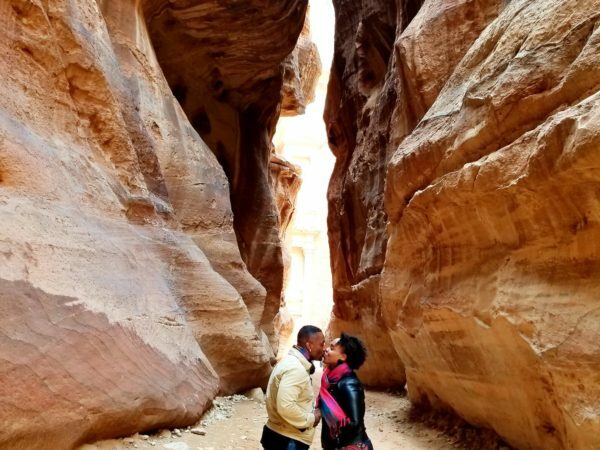 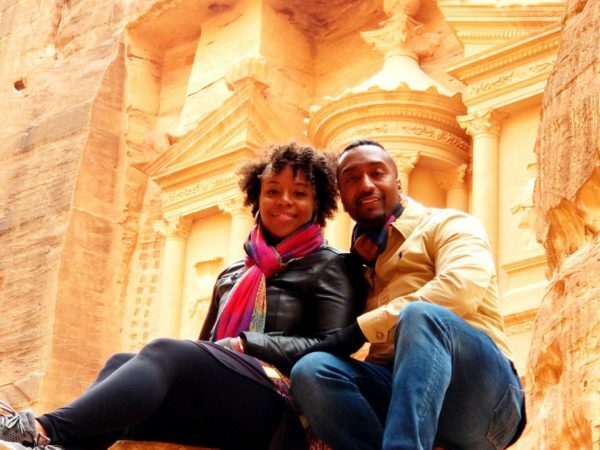 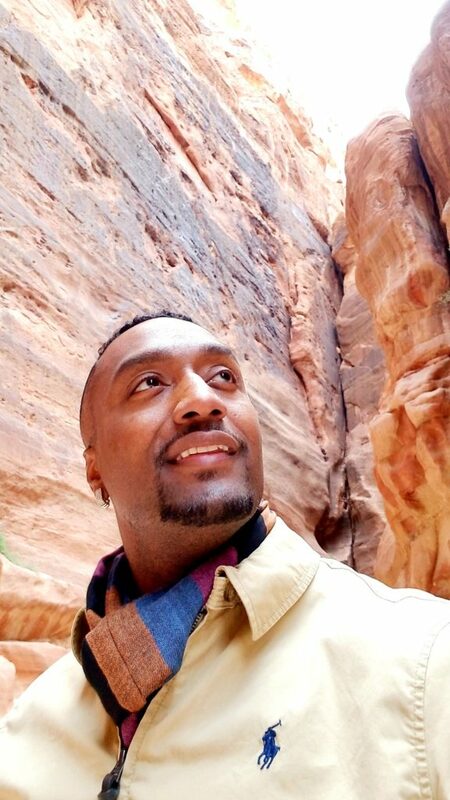 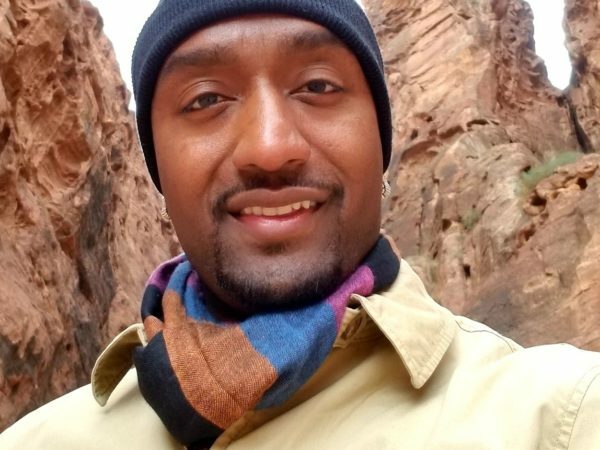 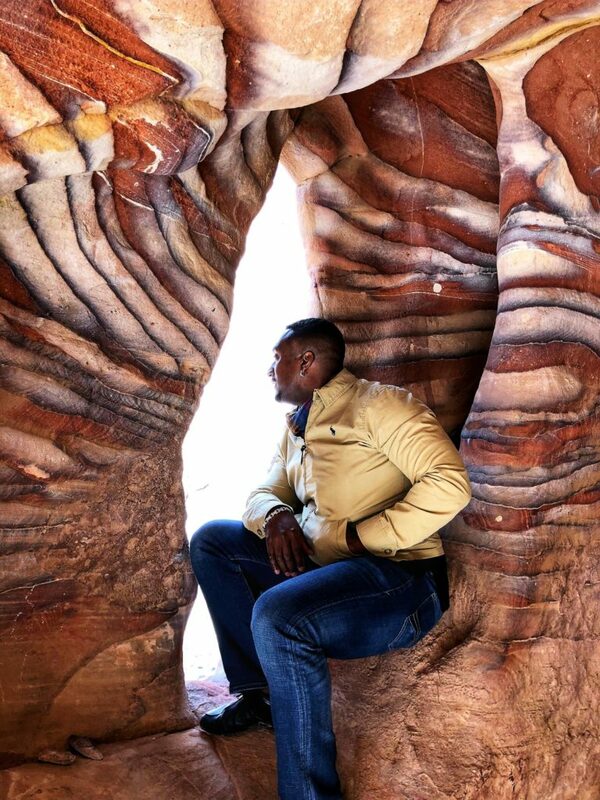 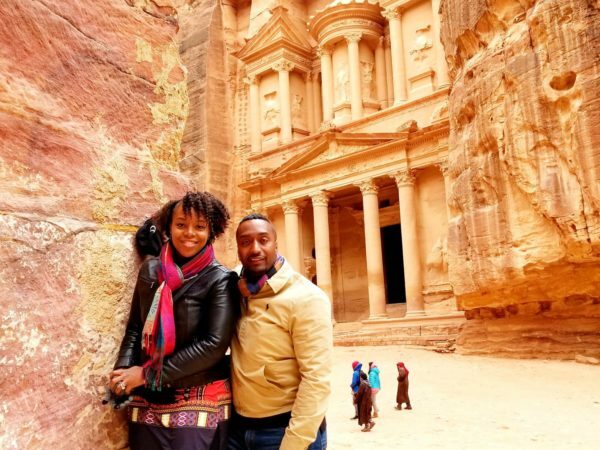 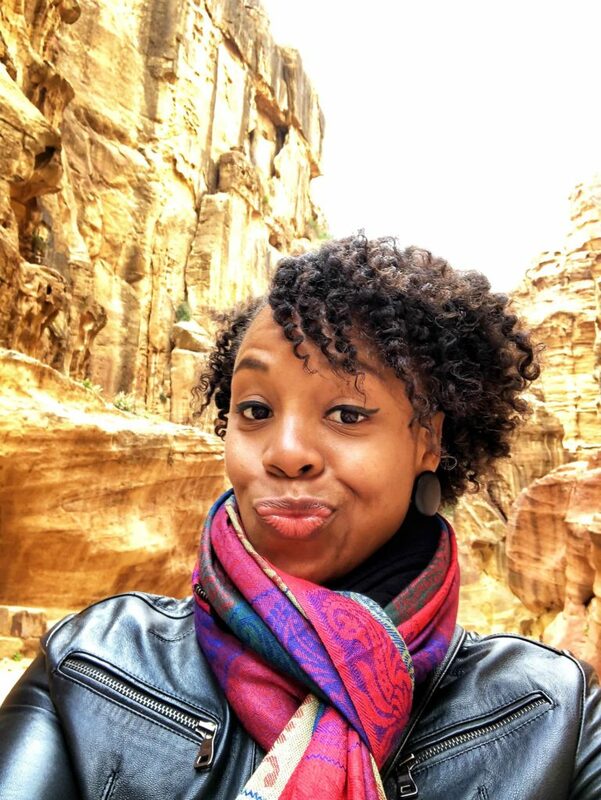 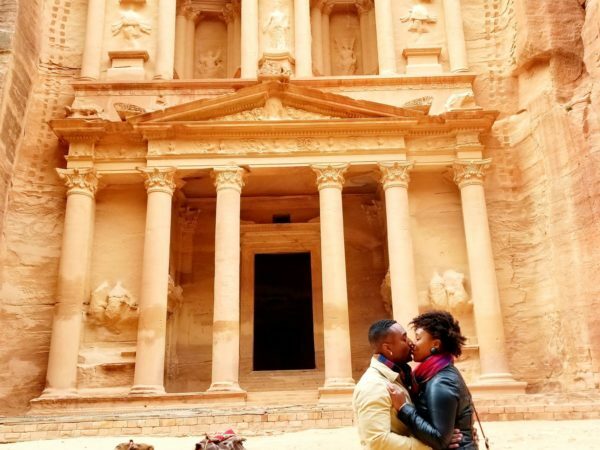 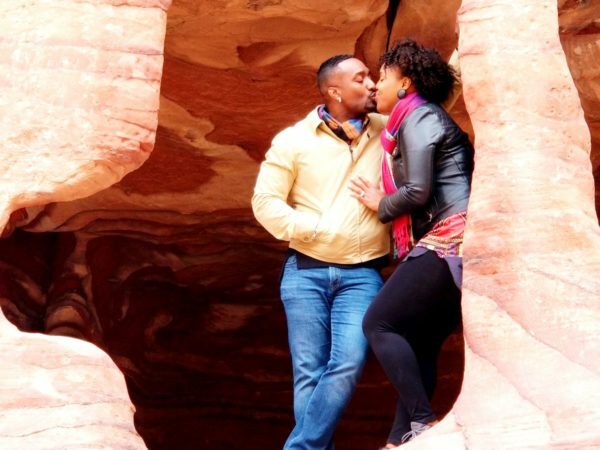 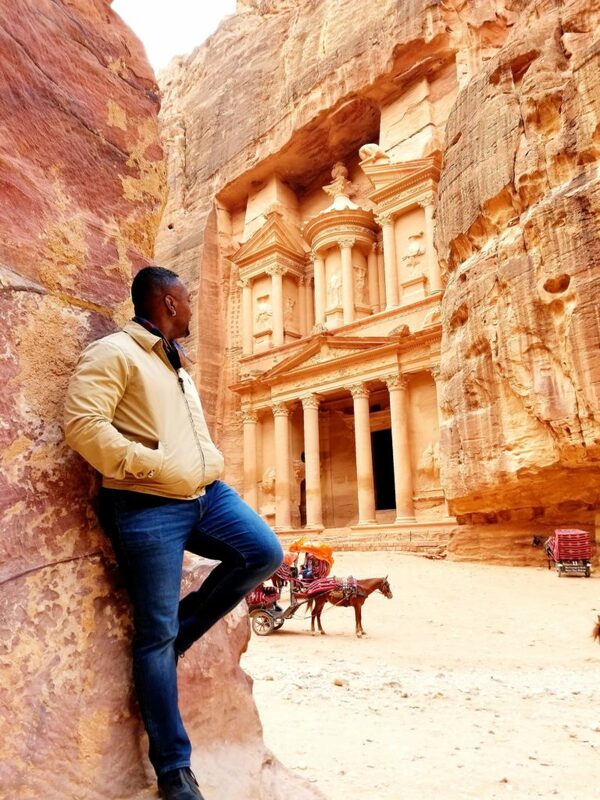 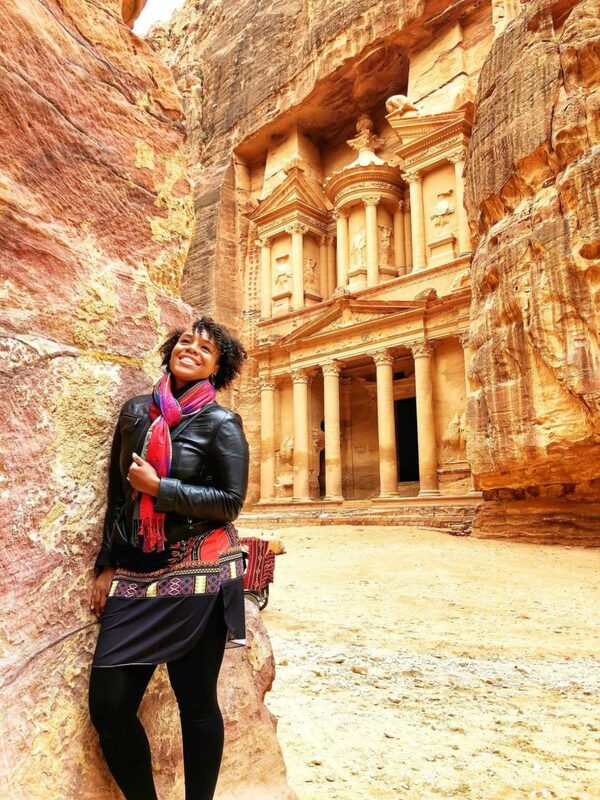 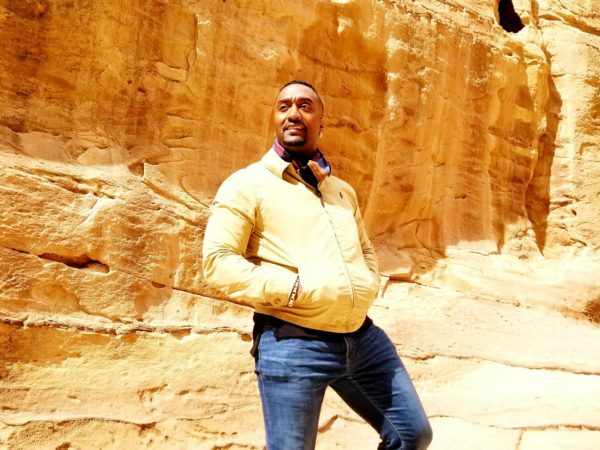 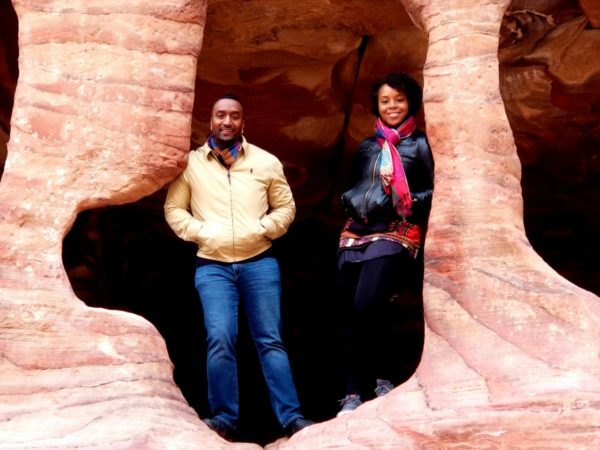 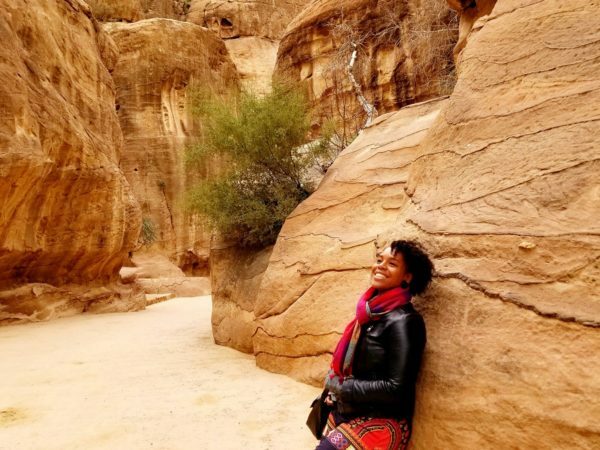 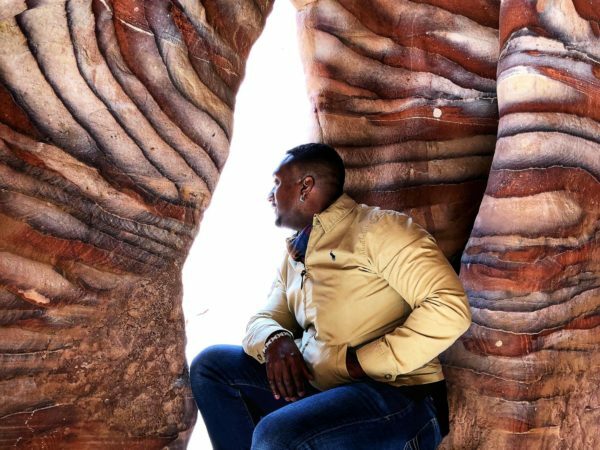 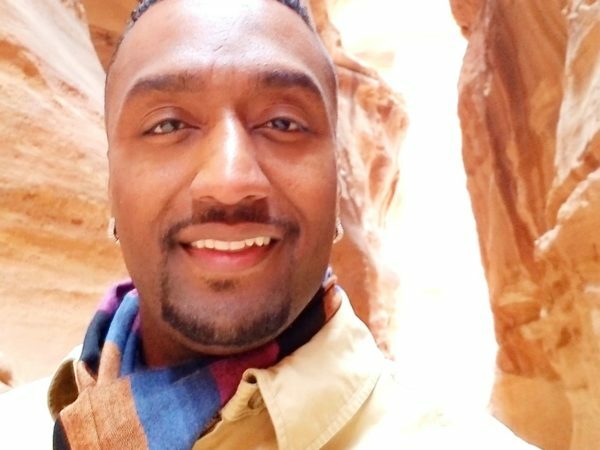 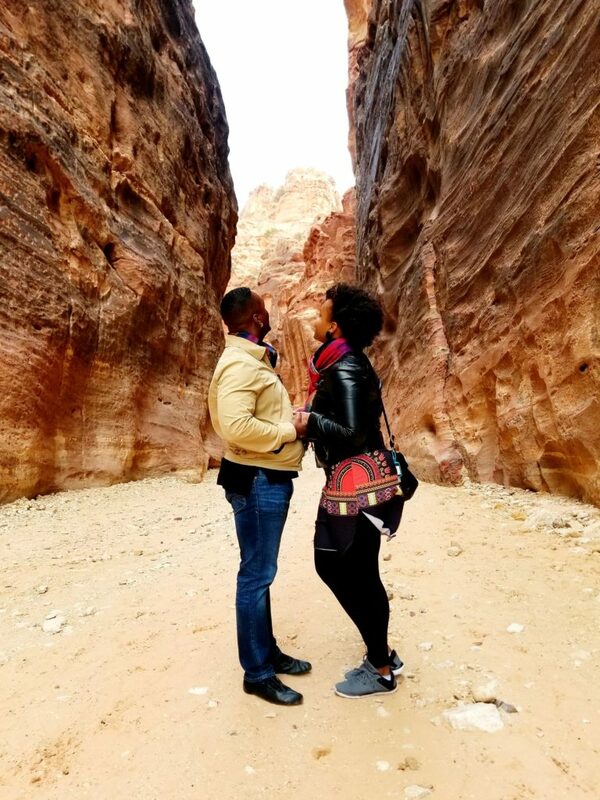 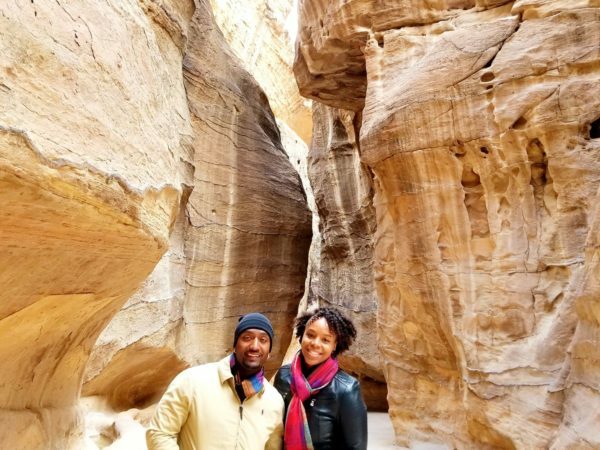 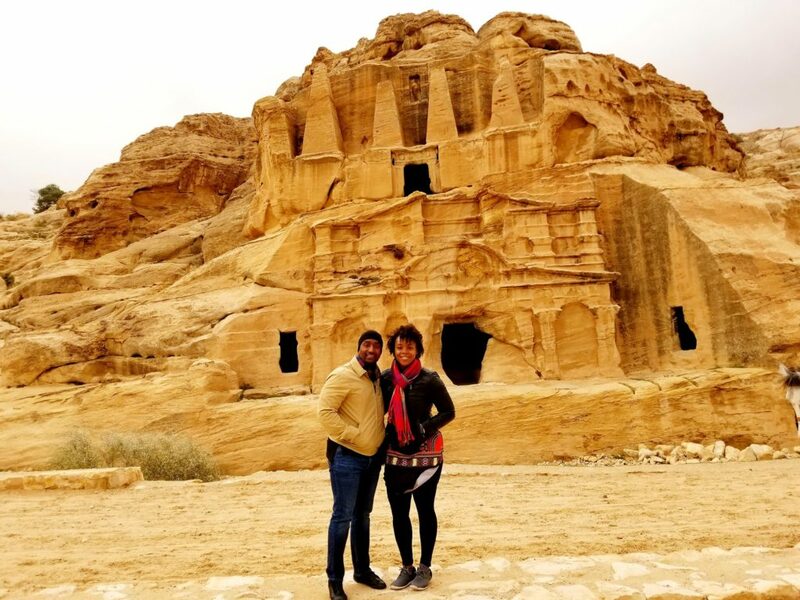 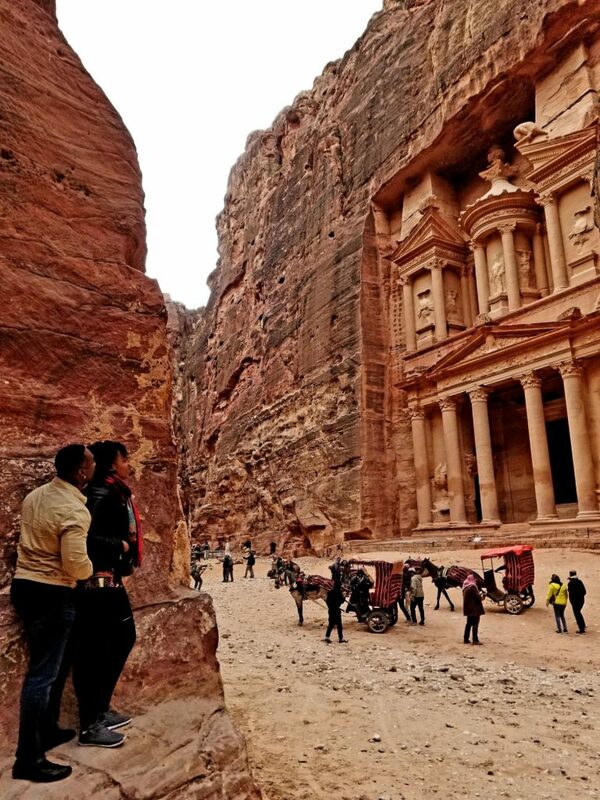 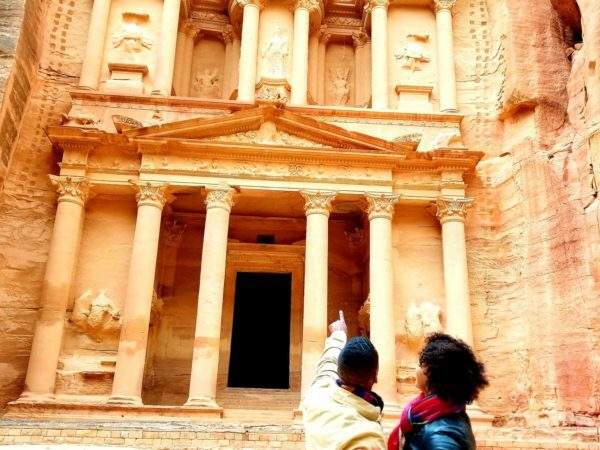 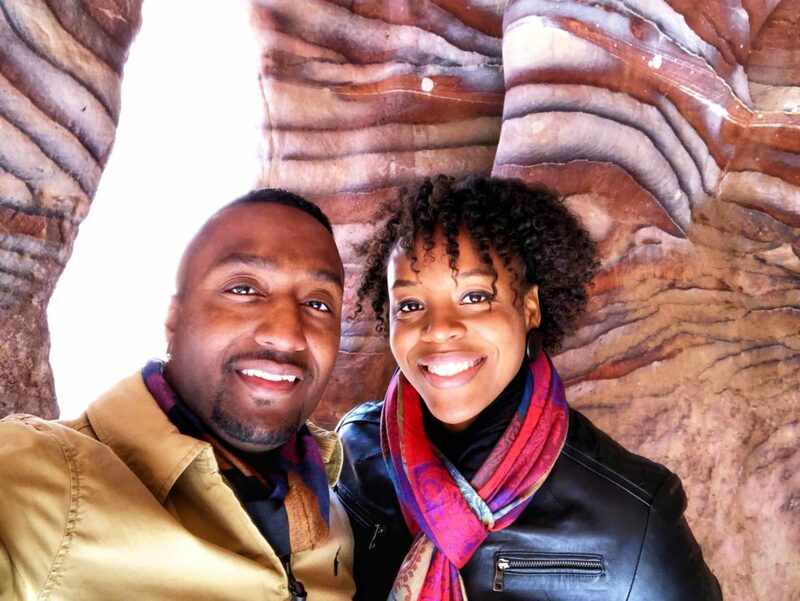 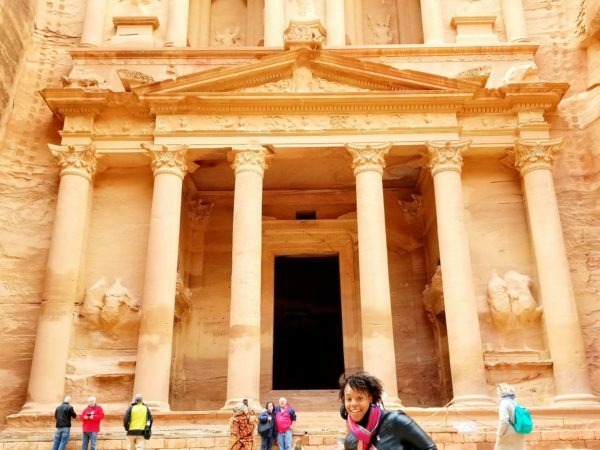 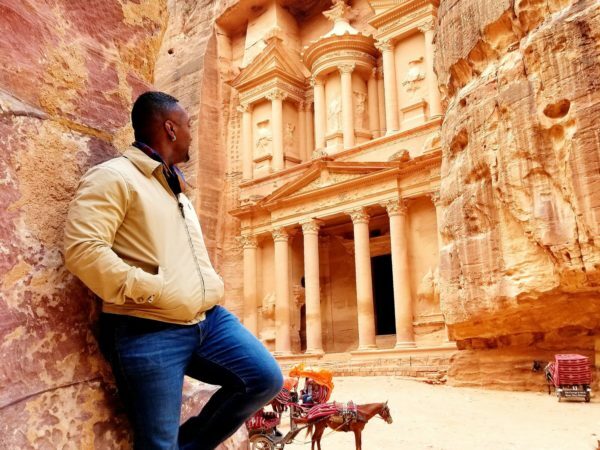 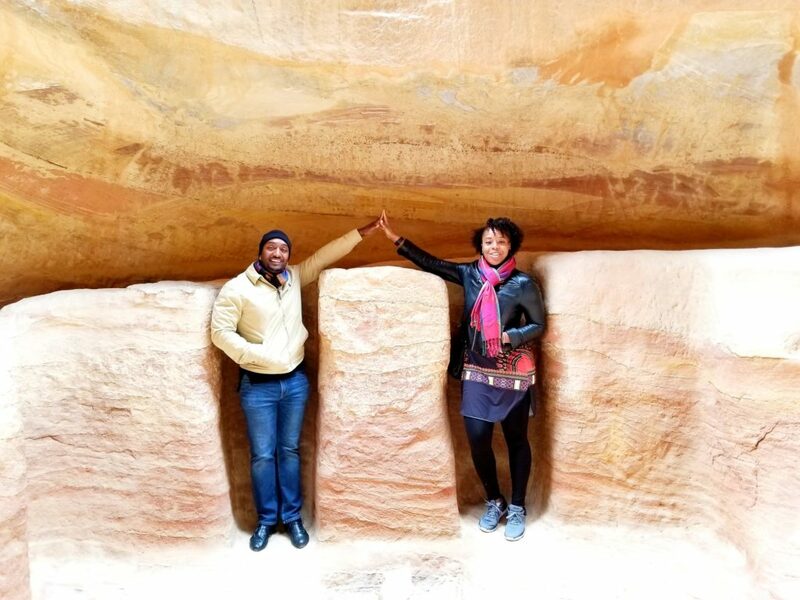 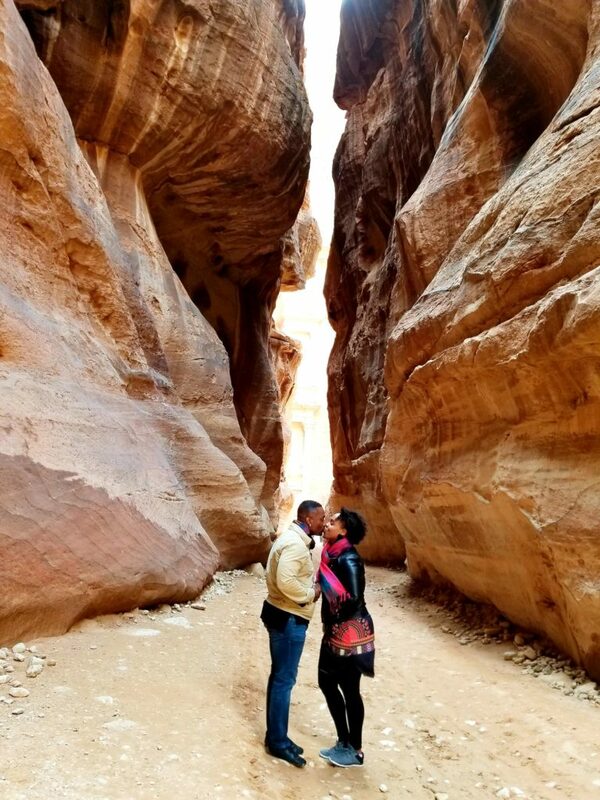 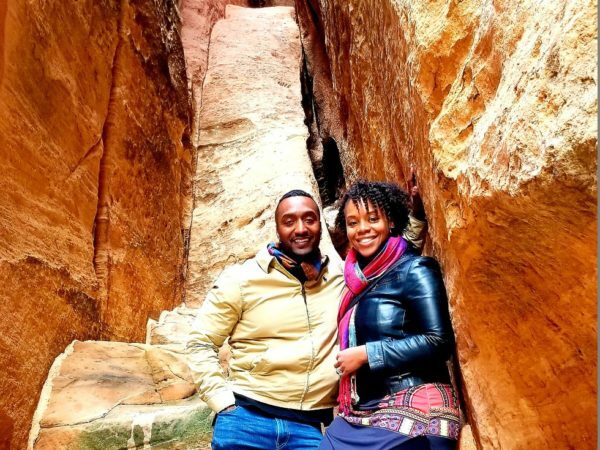 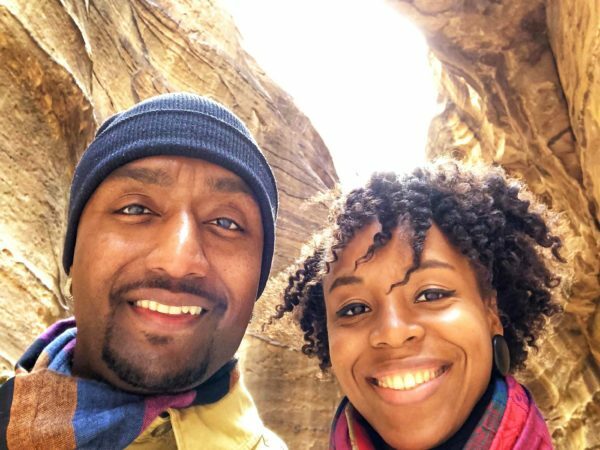 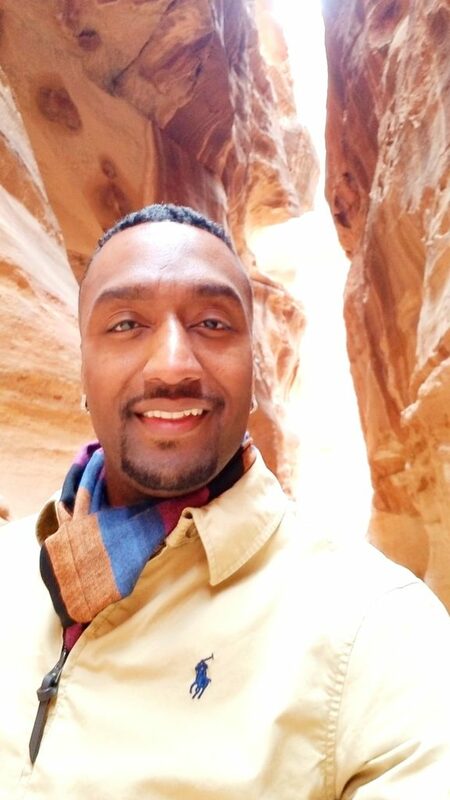 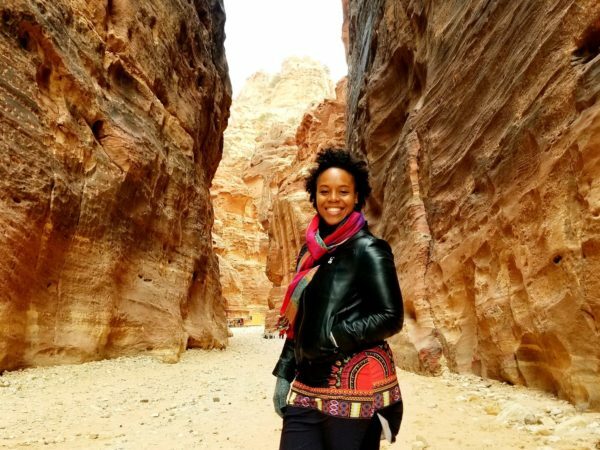 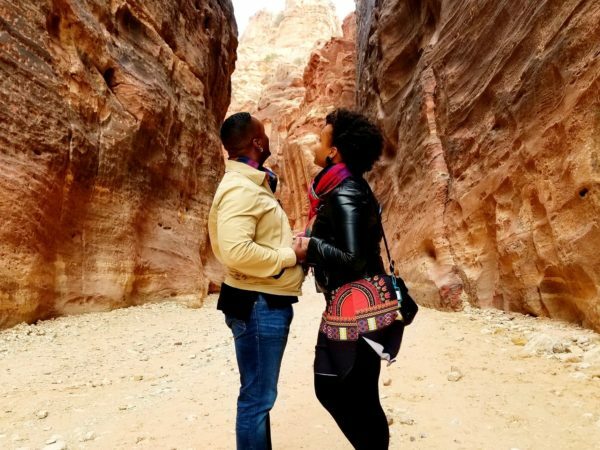 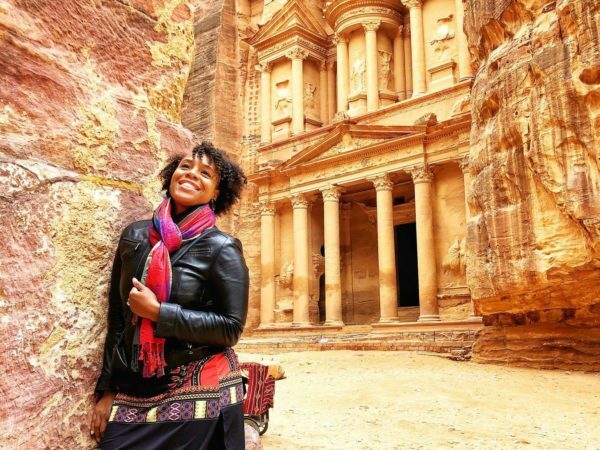 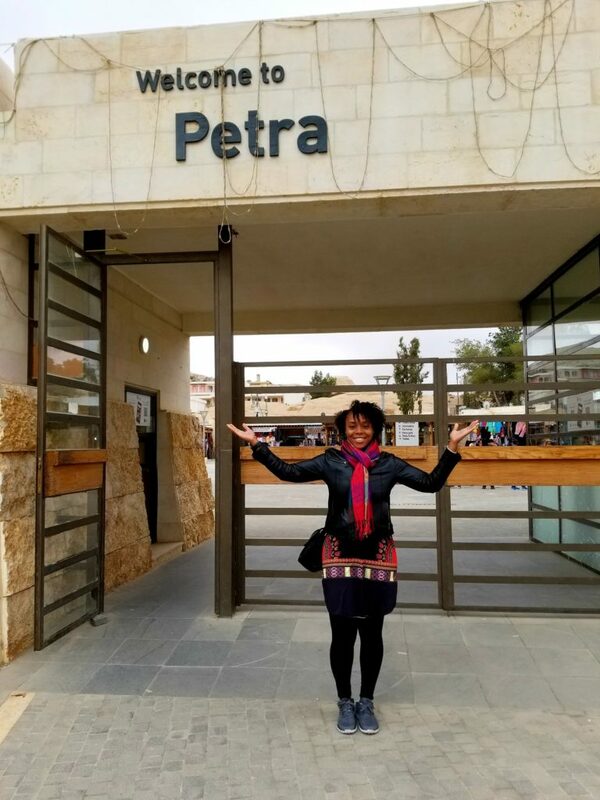 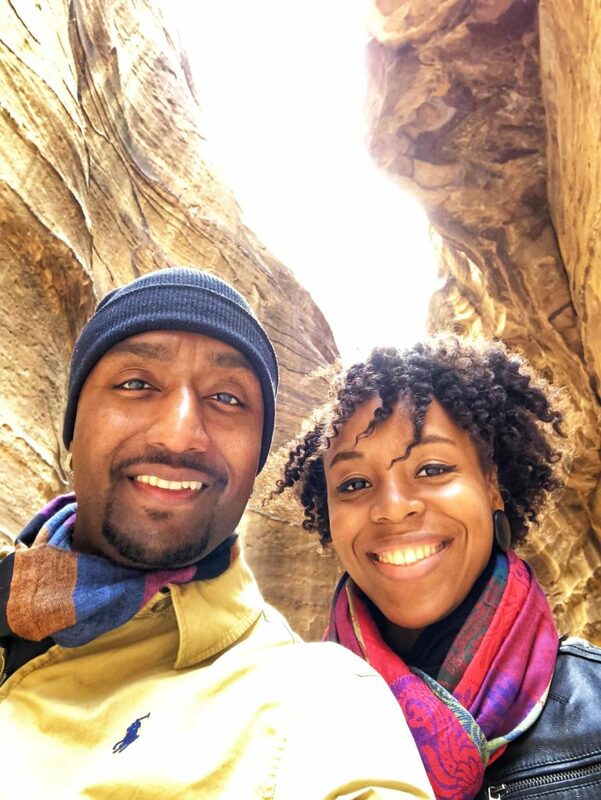 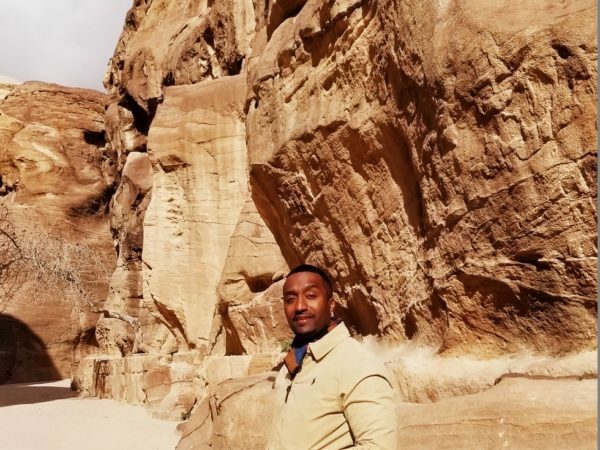 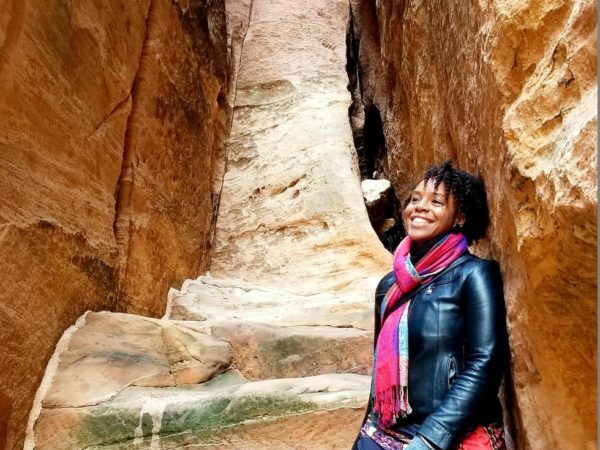 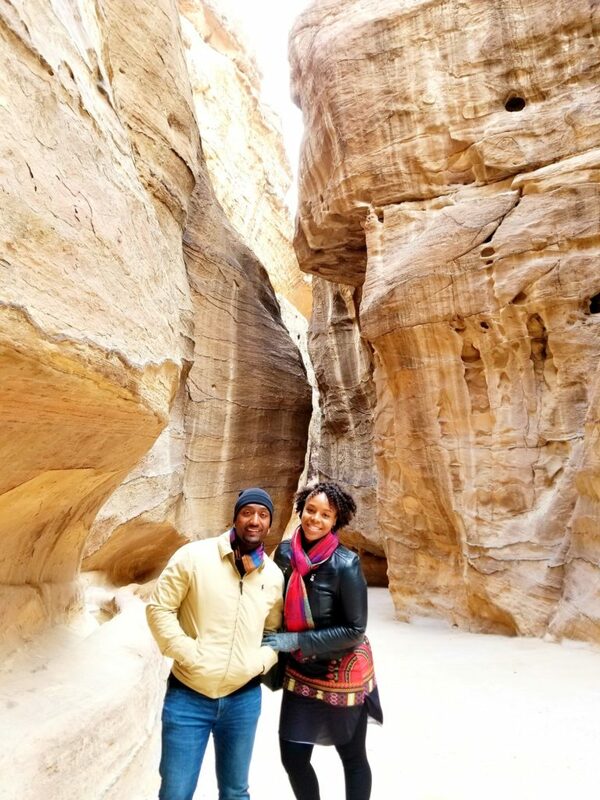 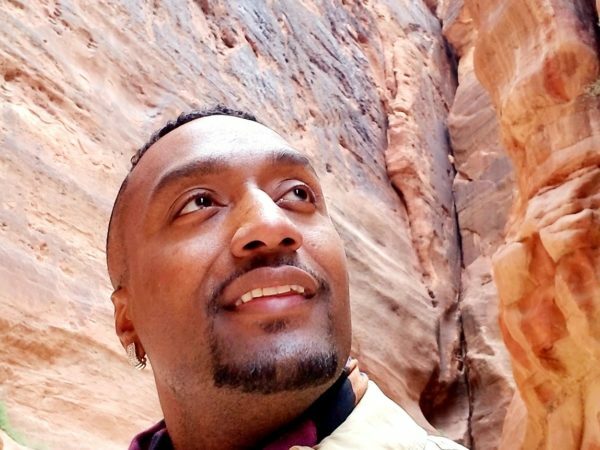 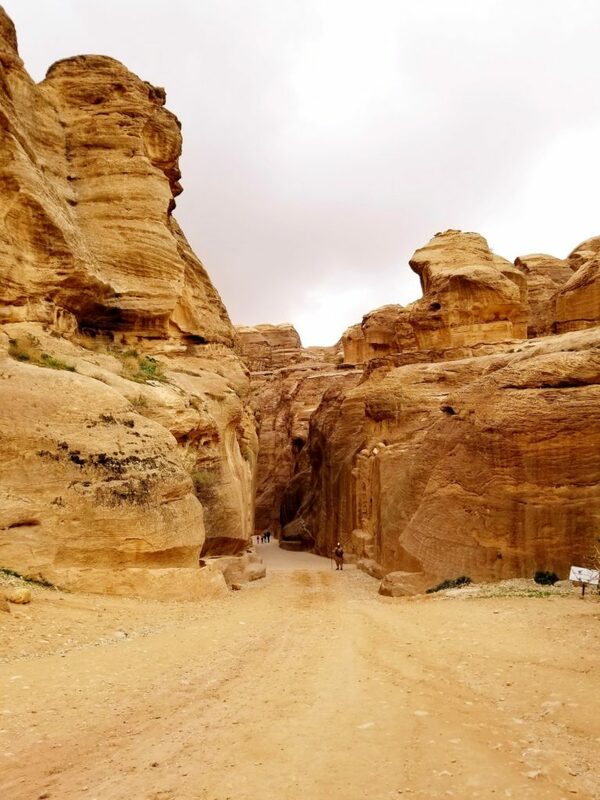 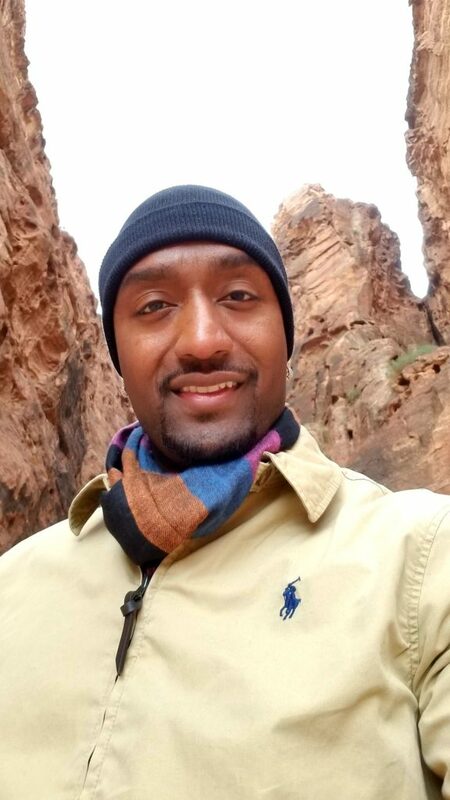 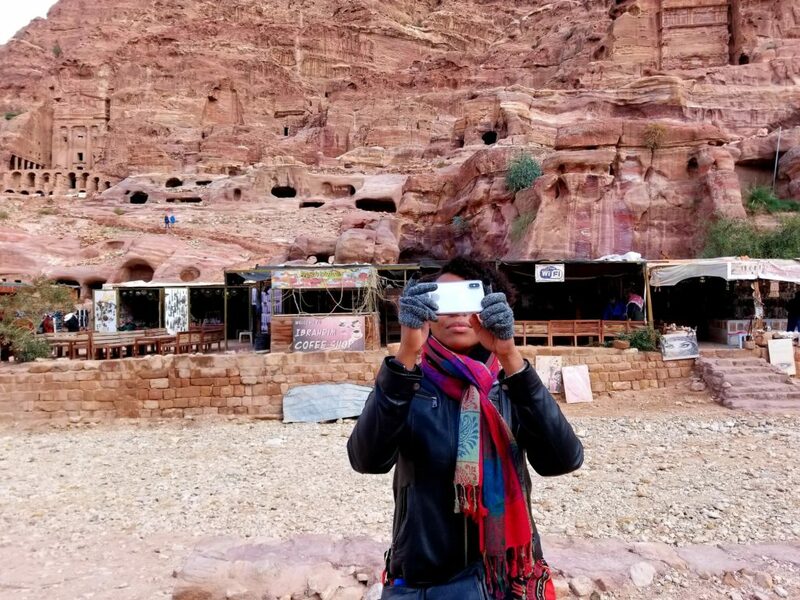 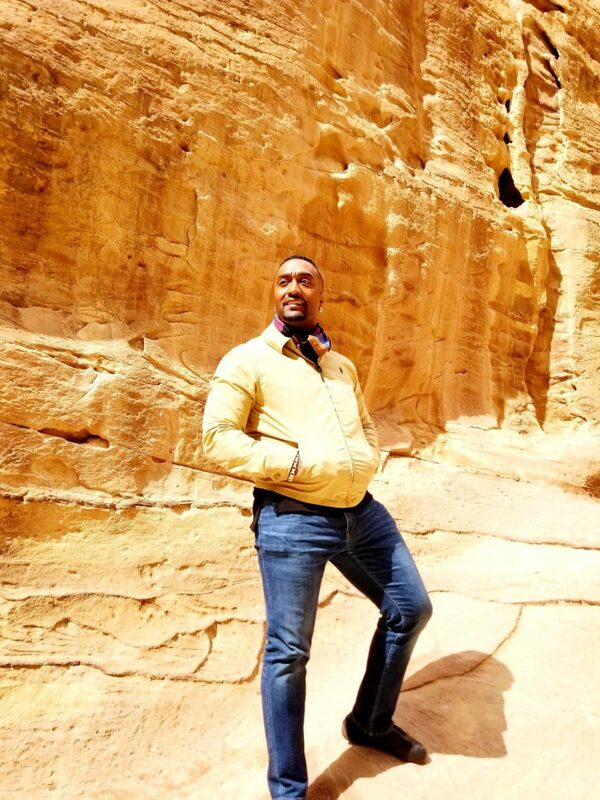 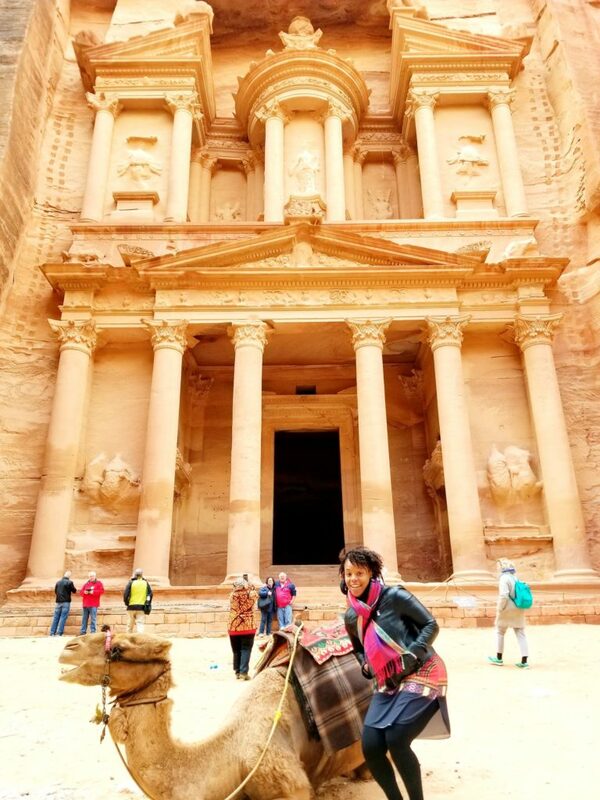 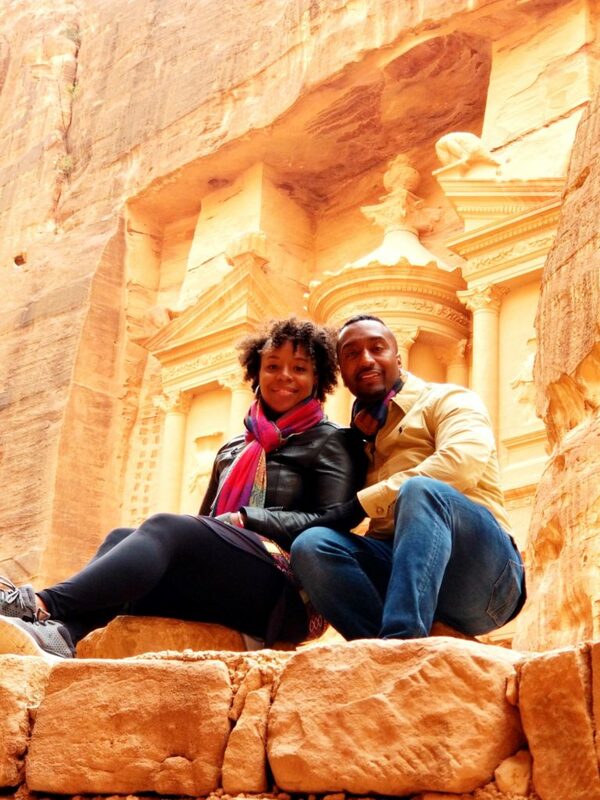 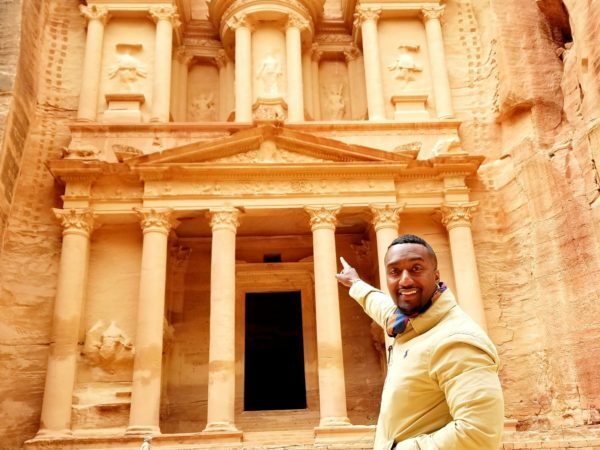 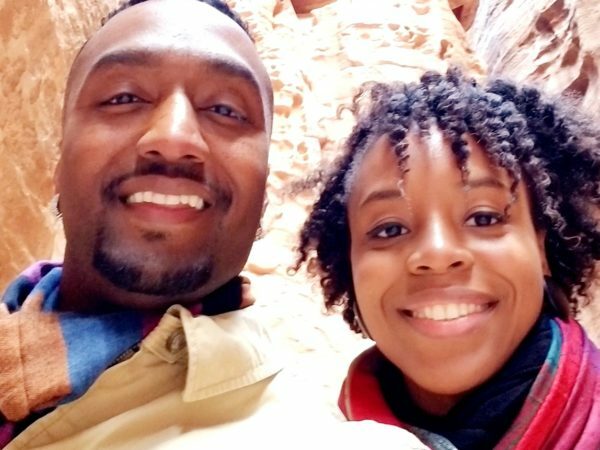 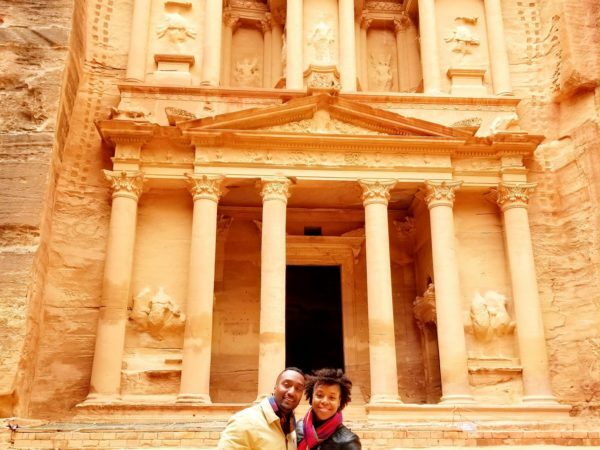 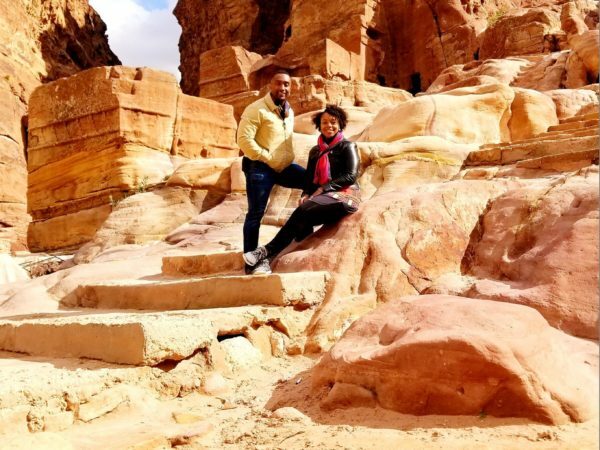 From there, we drove to Petra and enjoyed a guided tour of Petra, including learning the history of the ancient city, it’s famed Treasury building, where a scenes from Indiana Jones and the Last Crusade were filmed.